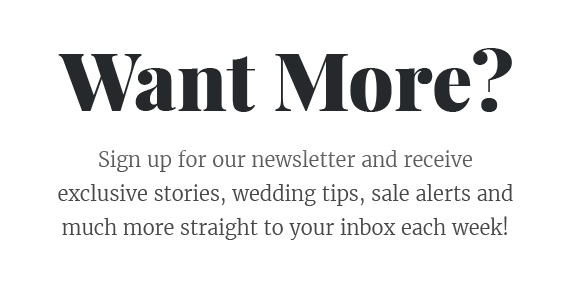 Hey darlings! 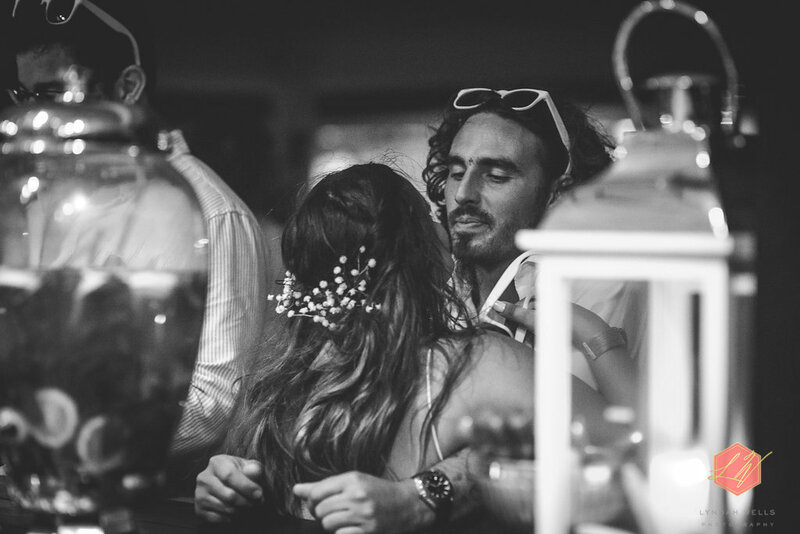 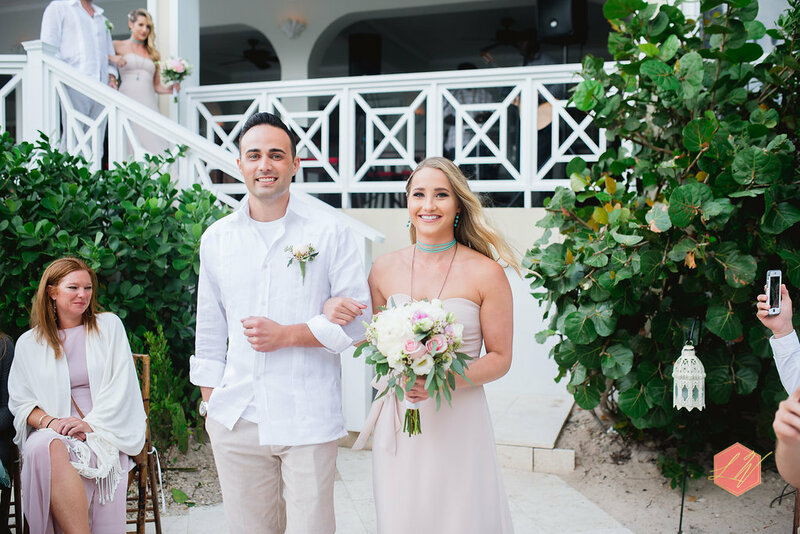 Please say a little “hello” to our couple of the week Chris and Taylor, and feature of the week from the Bahamas! 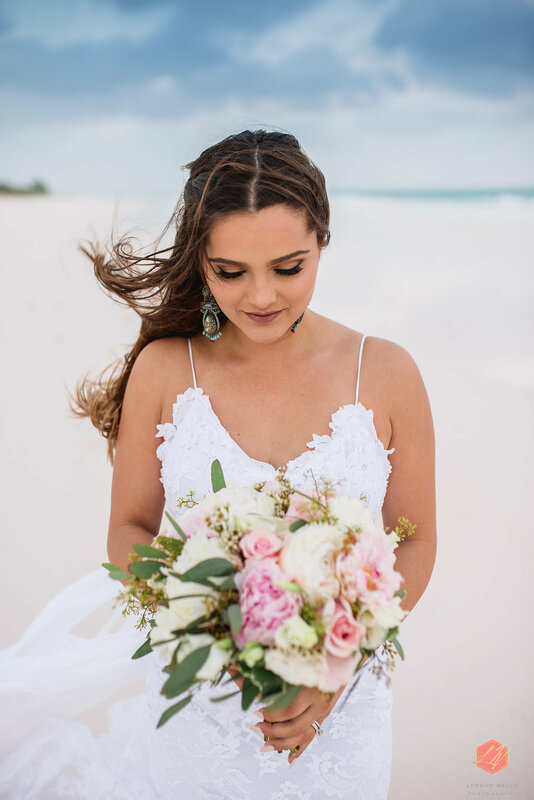 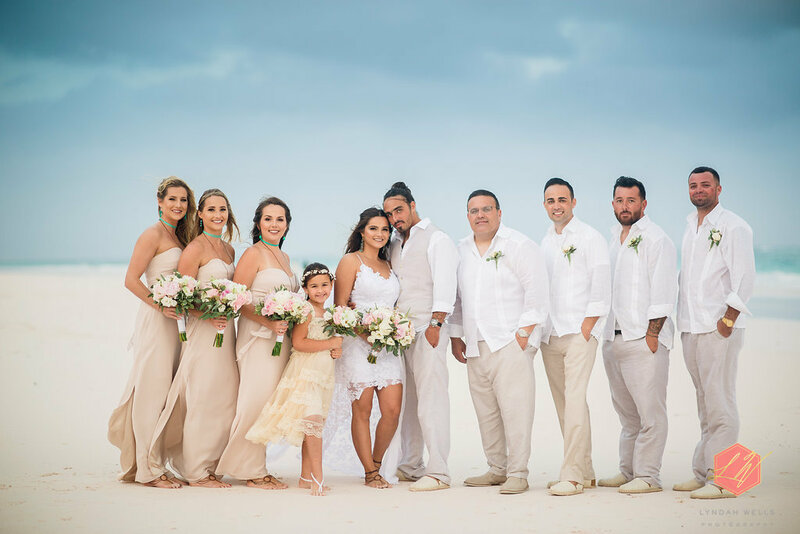 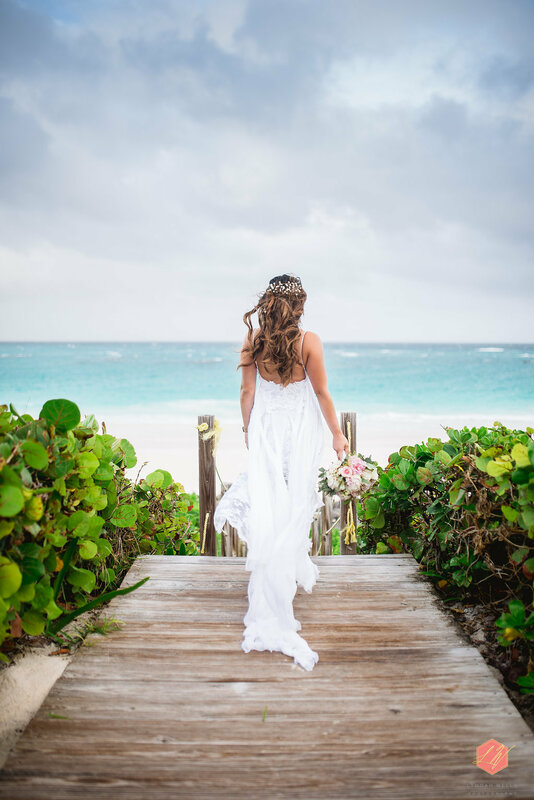 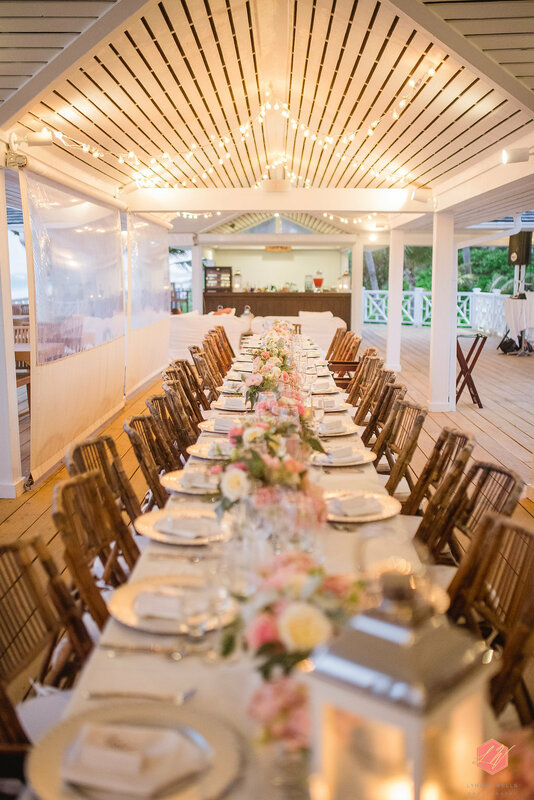 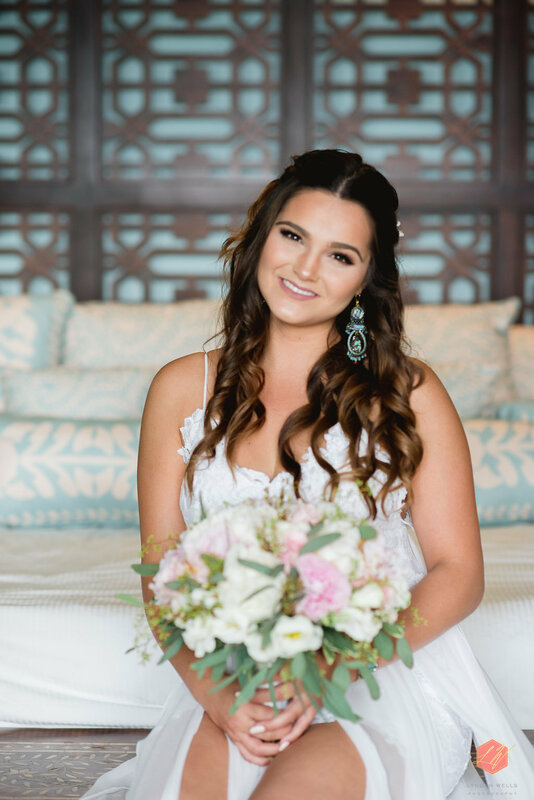 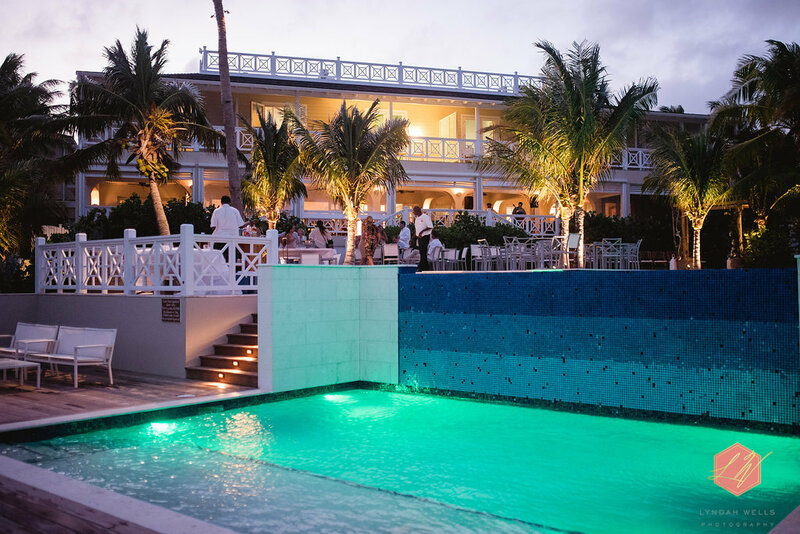 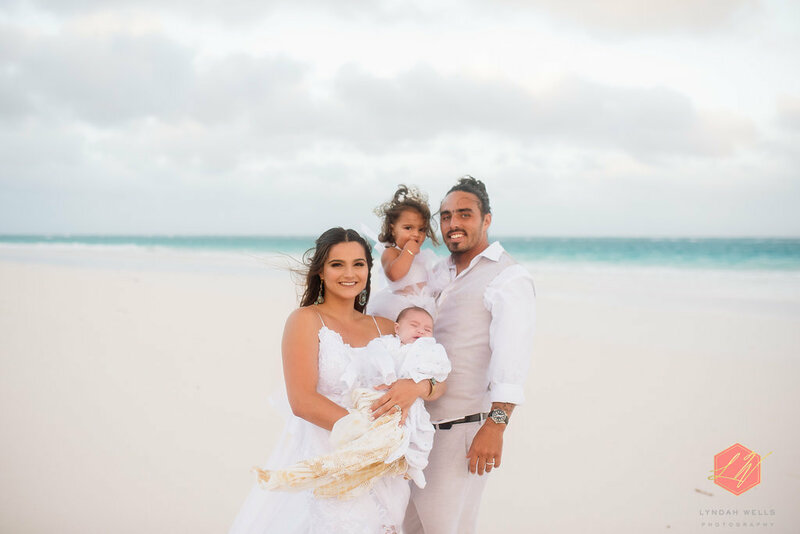 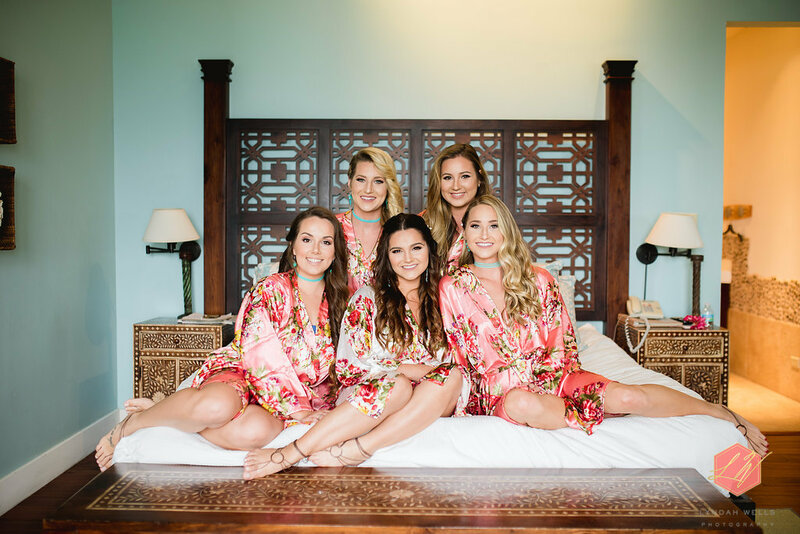 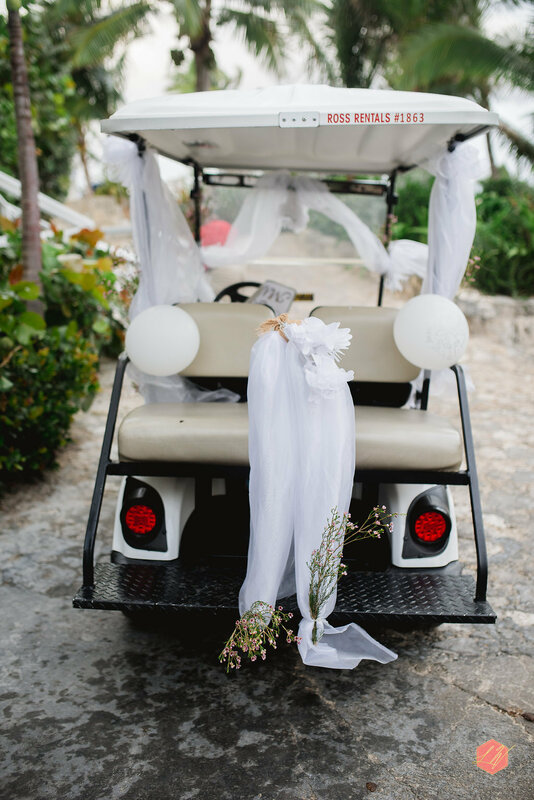 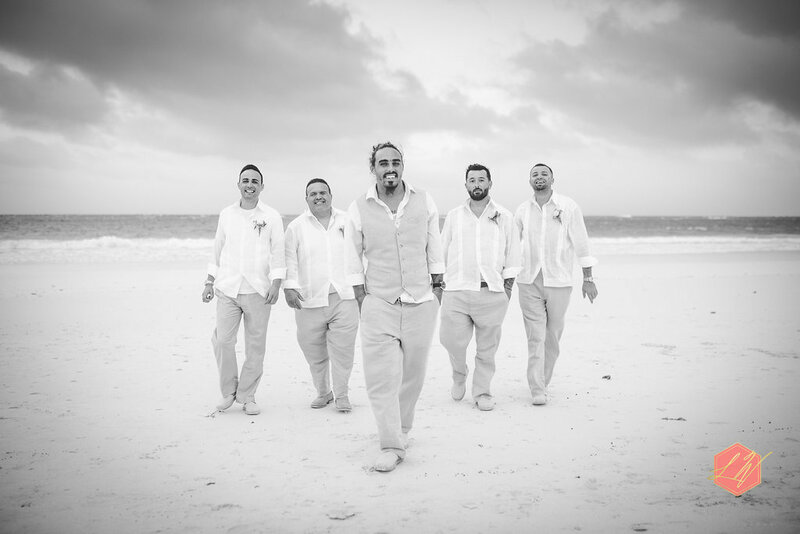 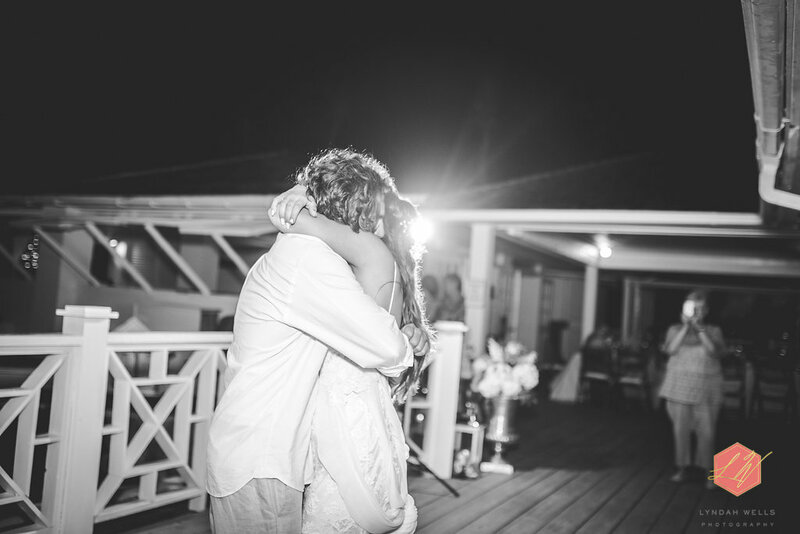 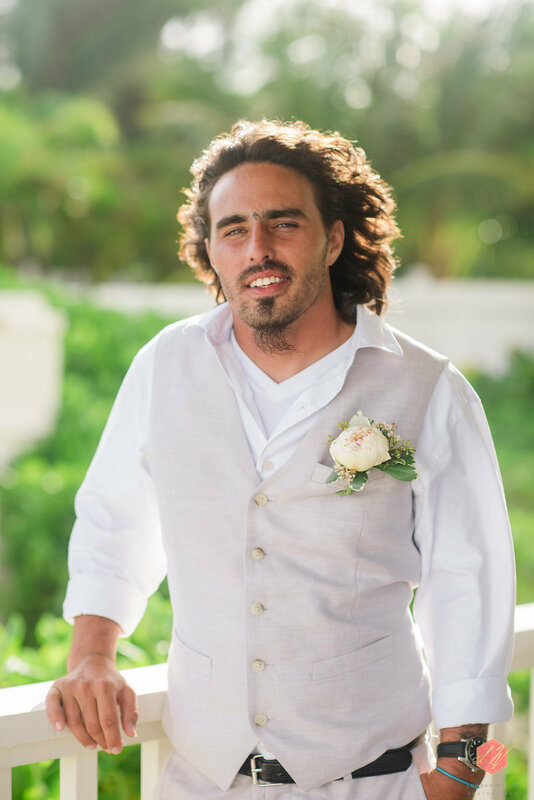 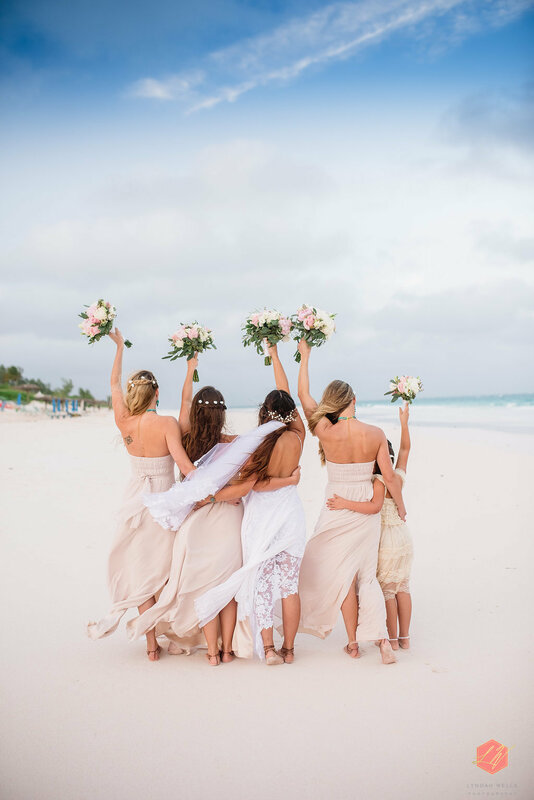 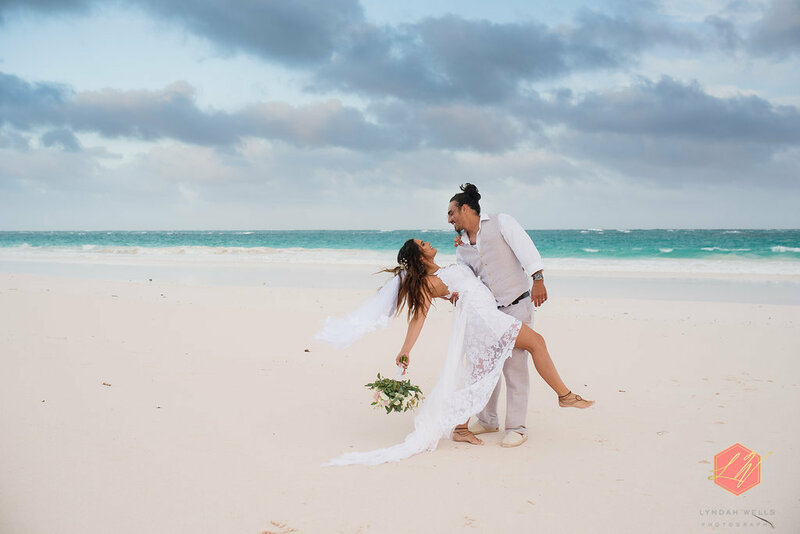 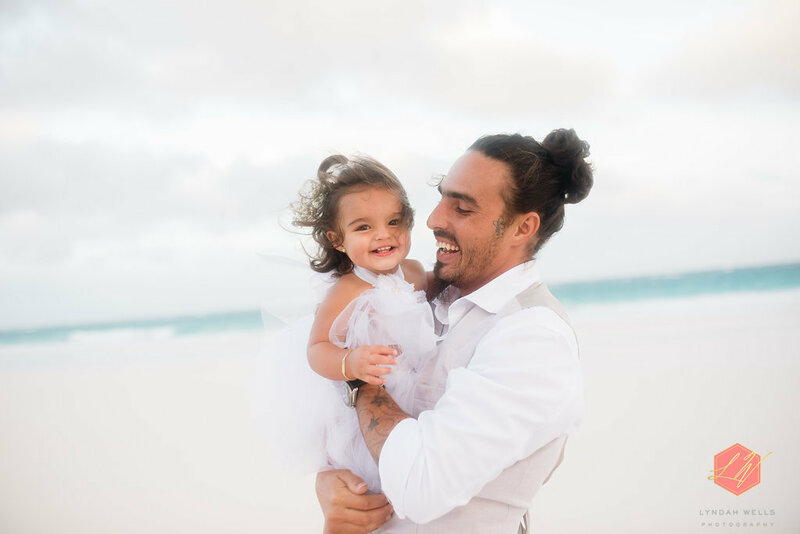 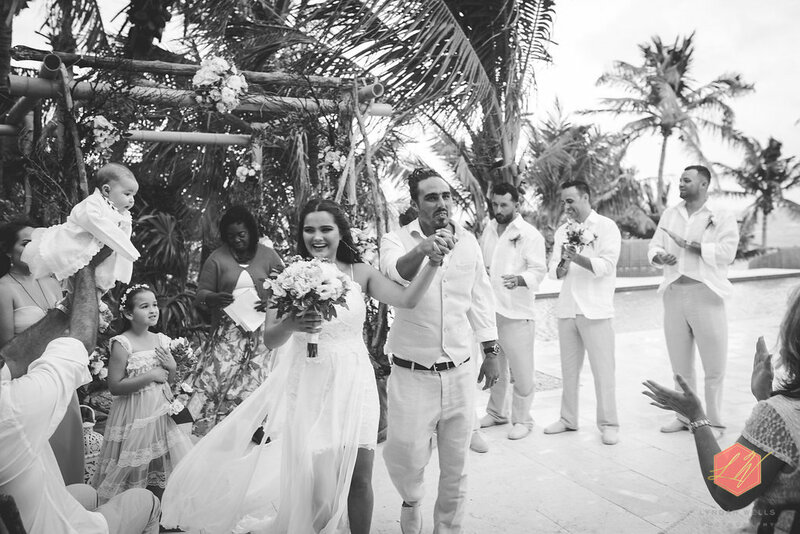 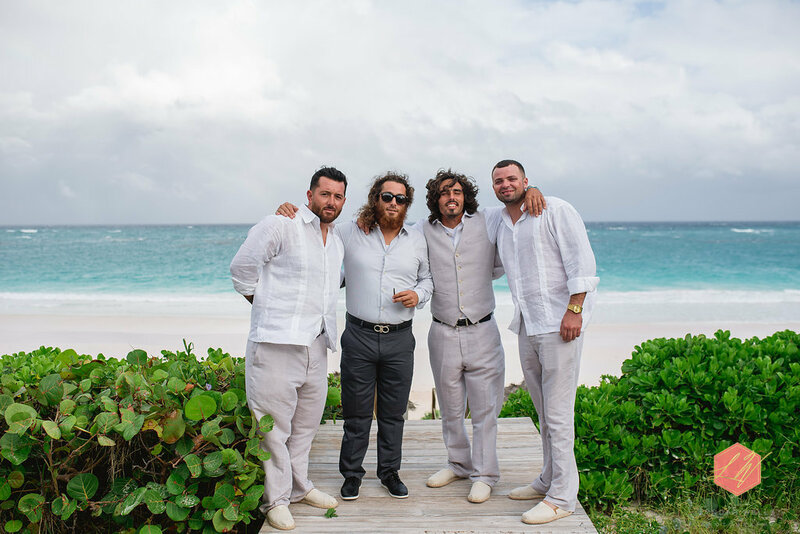 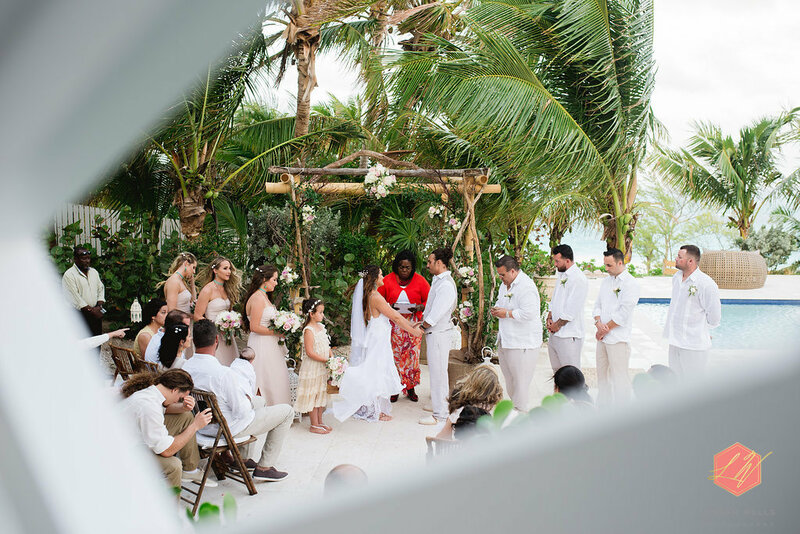 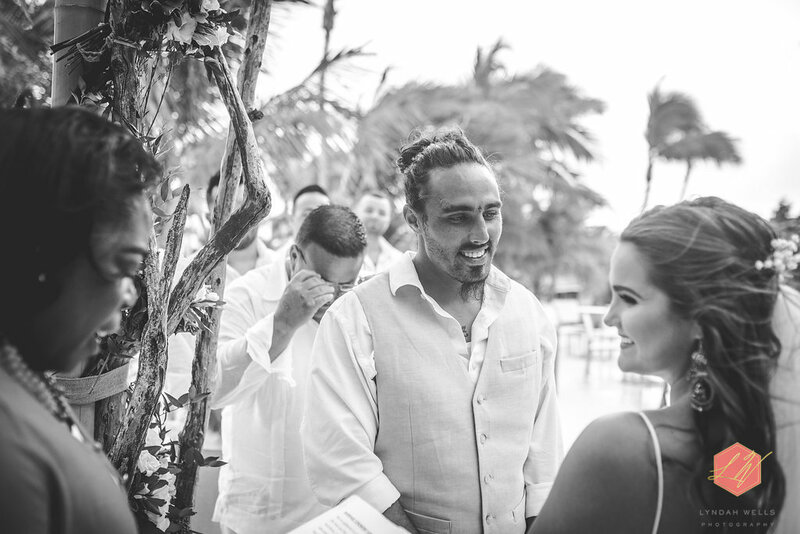 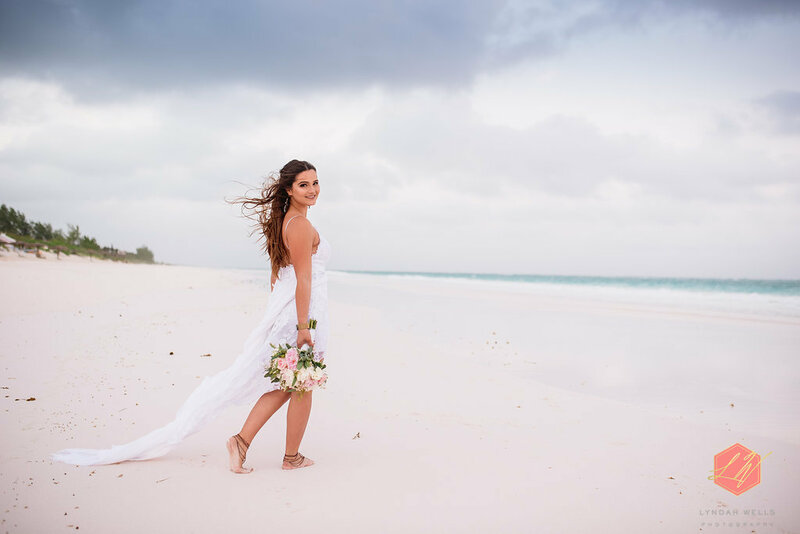 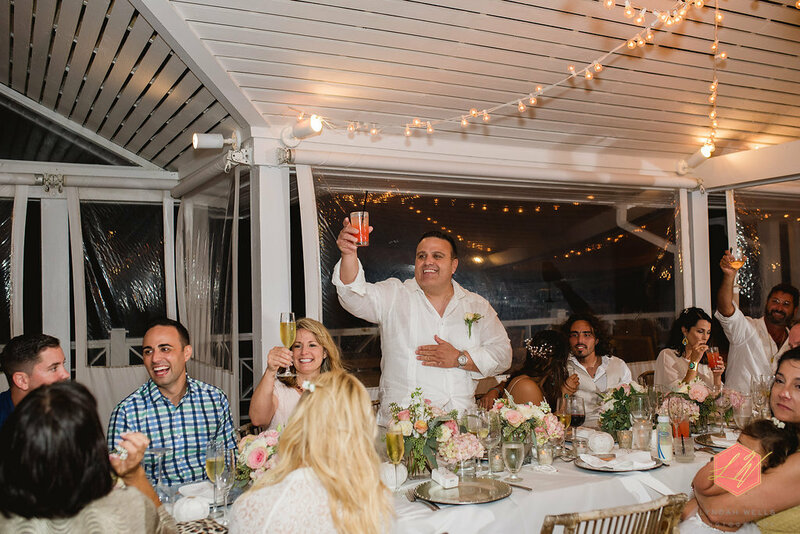 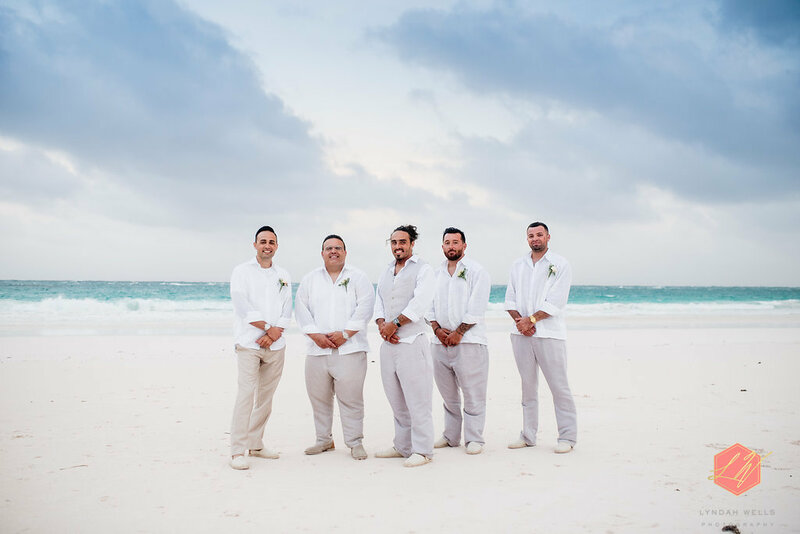 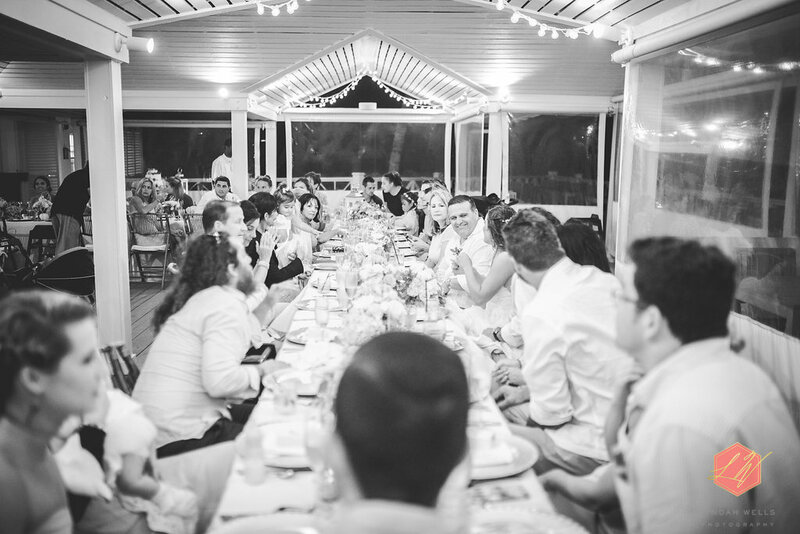 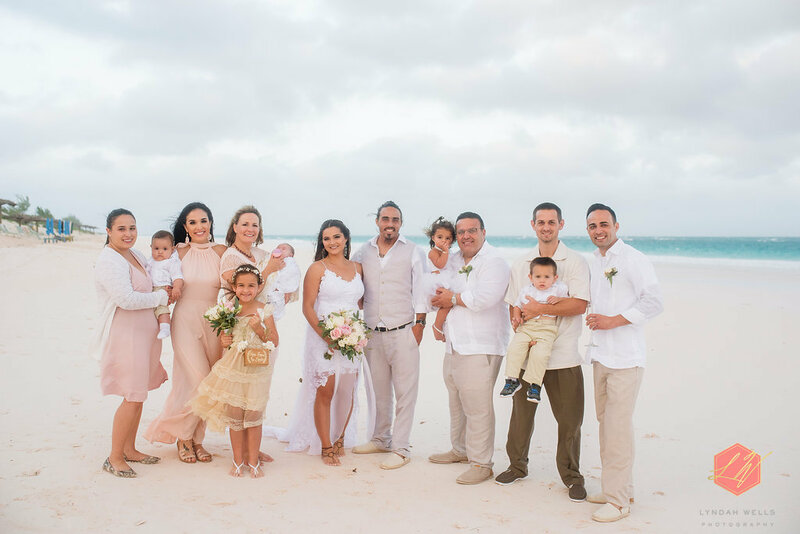 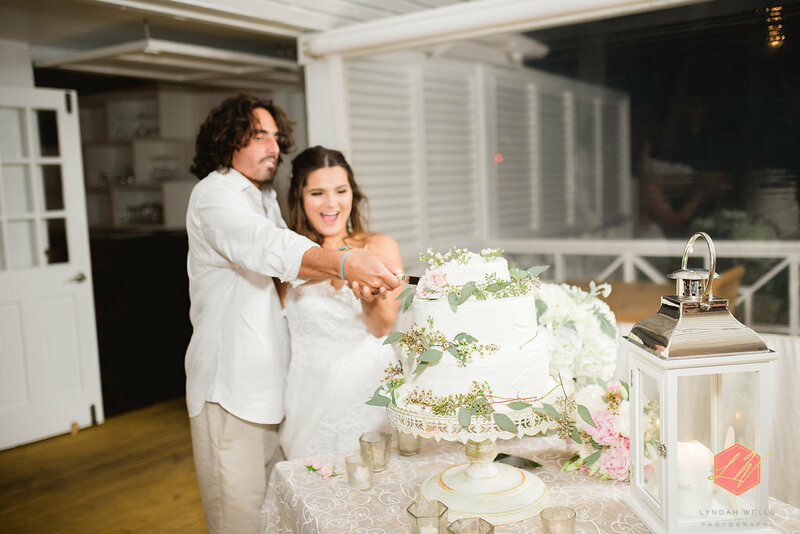 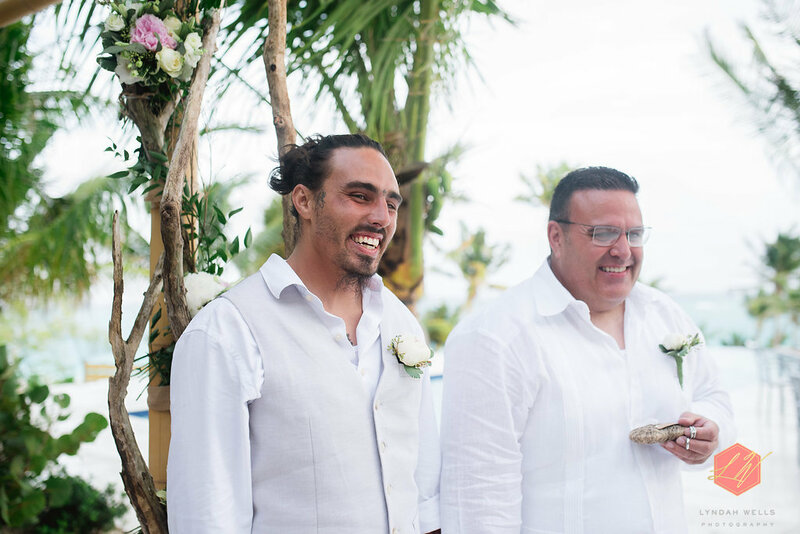 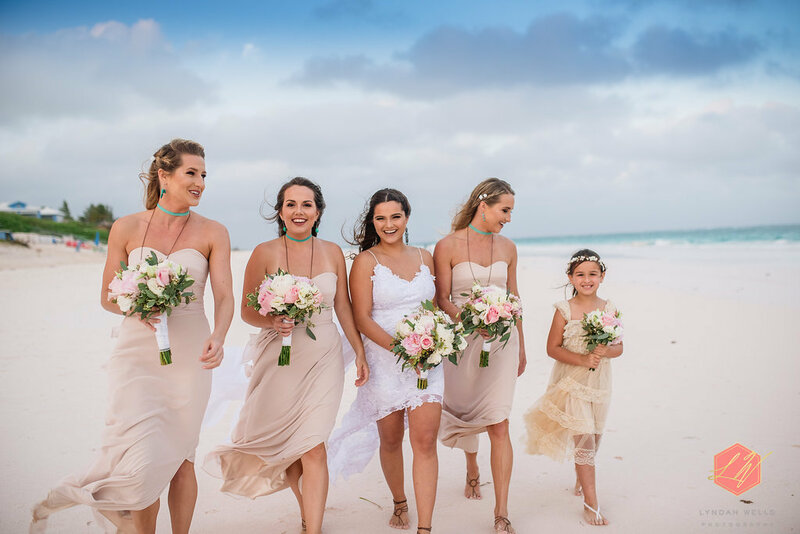 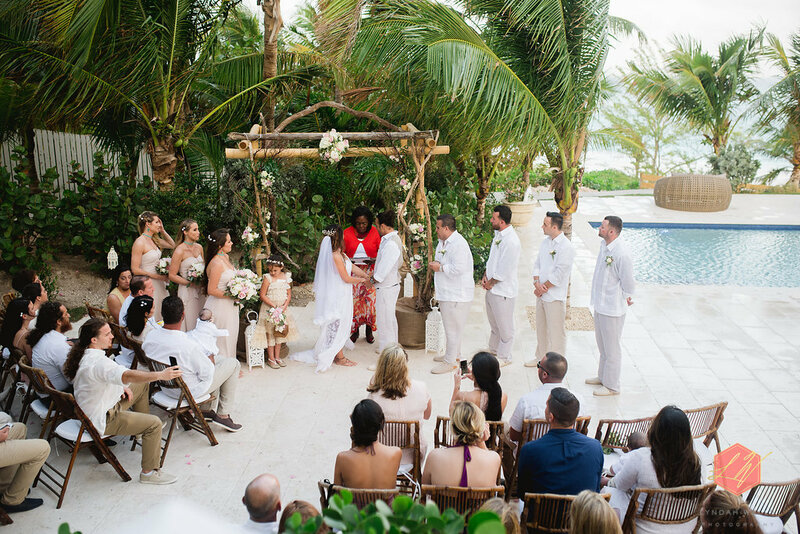 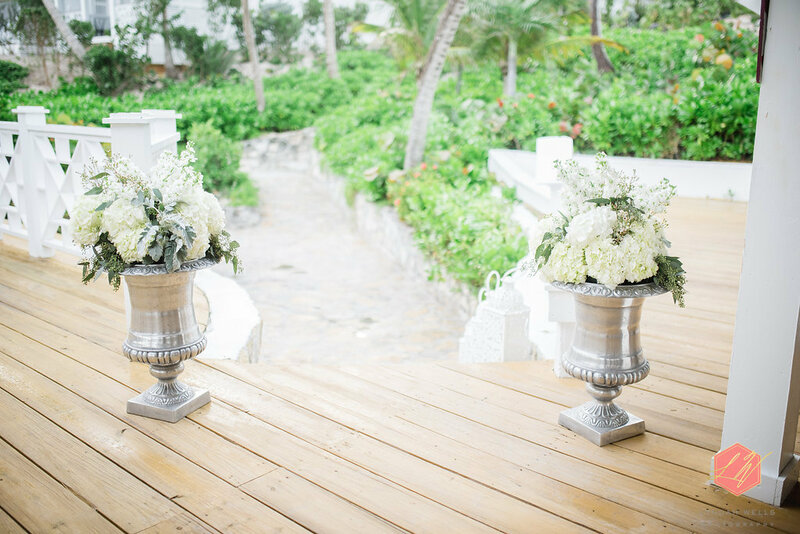 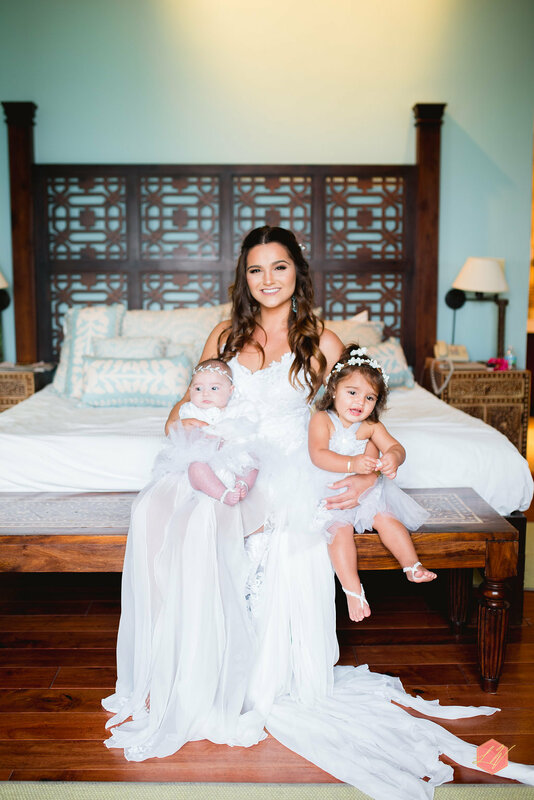 Chris and Taylor decided to host their special day at the gorgeous Coral Sands in Harbor Island, Bahamas and we must admit that this wedding has us day dreaming of our time in Bahamas and the crystal blue water that we simply could not get our eyes off. 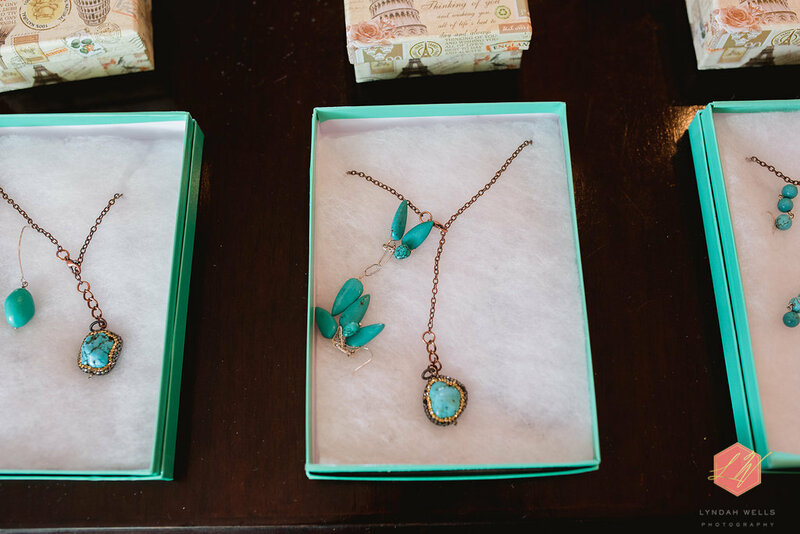 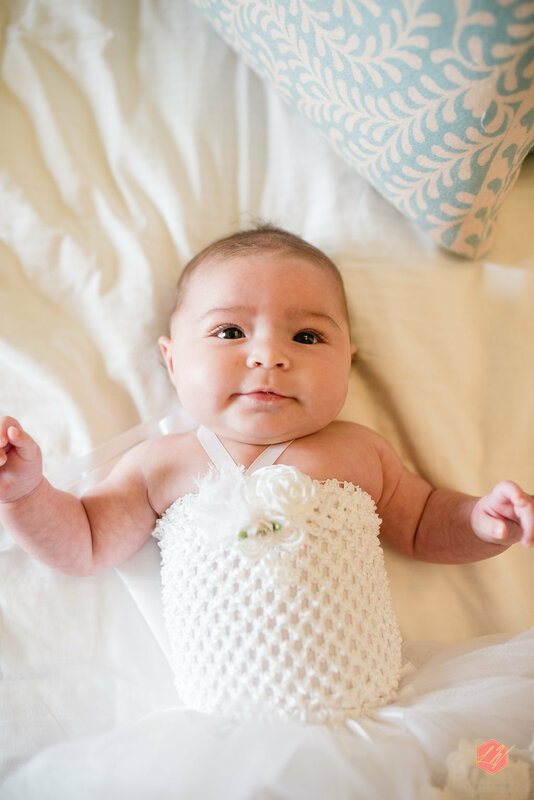 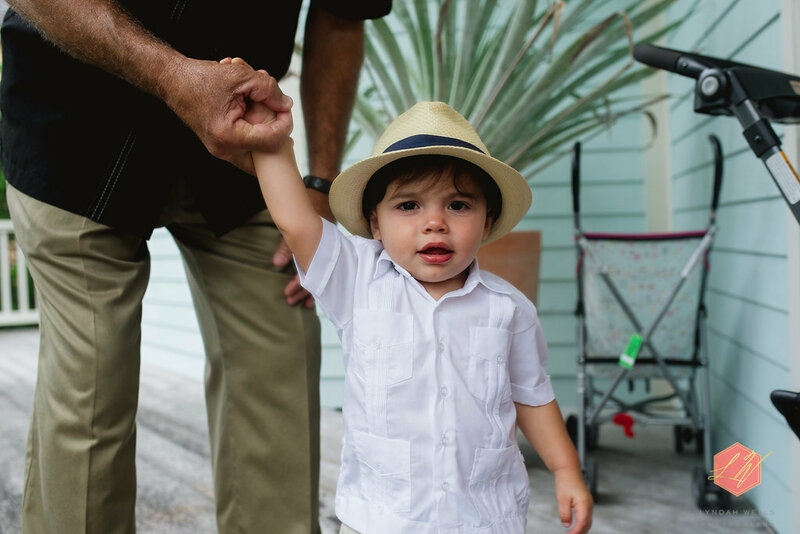 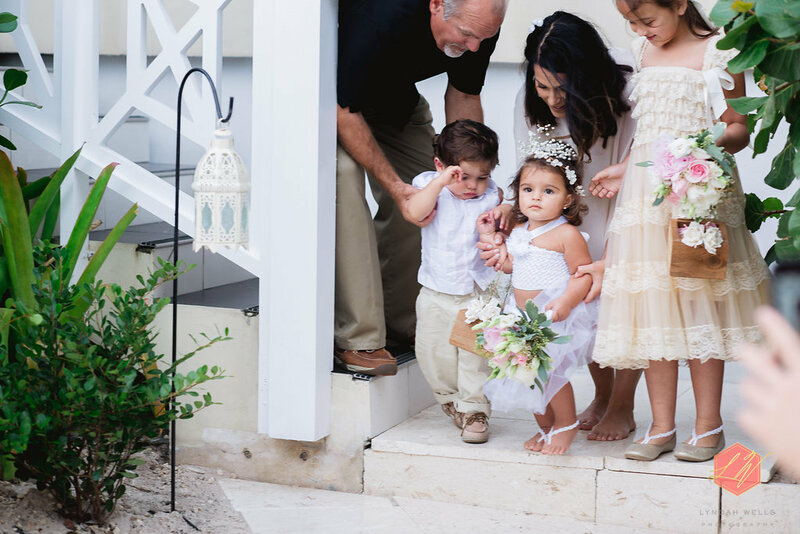 We often talk about the importance of family and capturing precious moments that will last a lifetime, and we sincerely believe that Lyndah Wells Photography did an incredible job of that in this album. 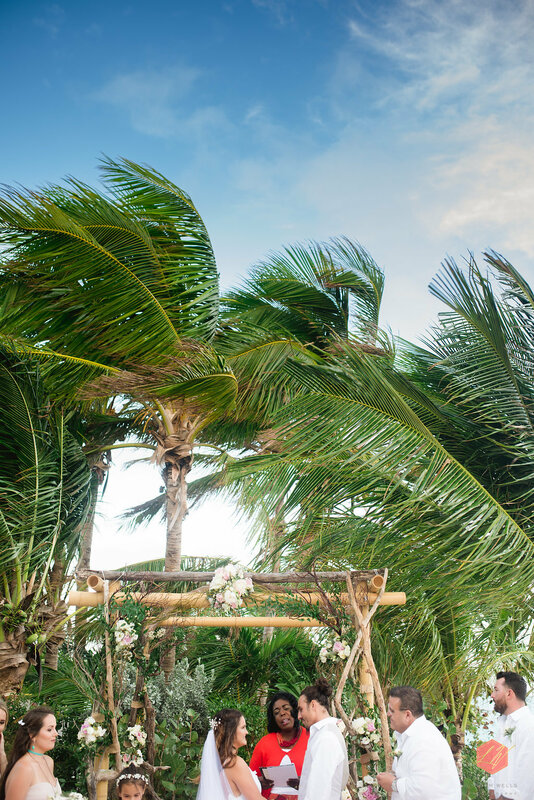 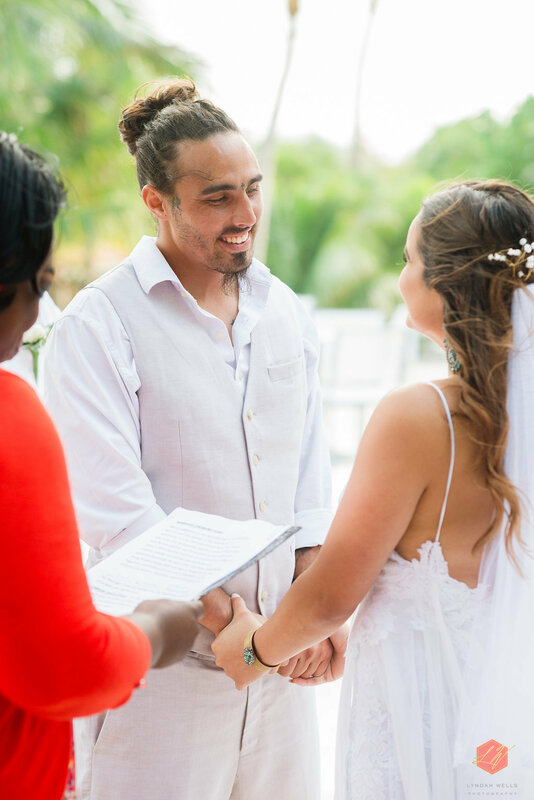 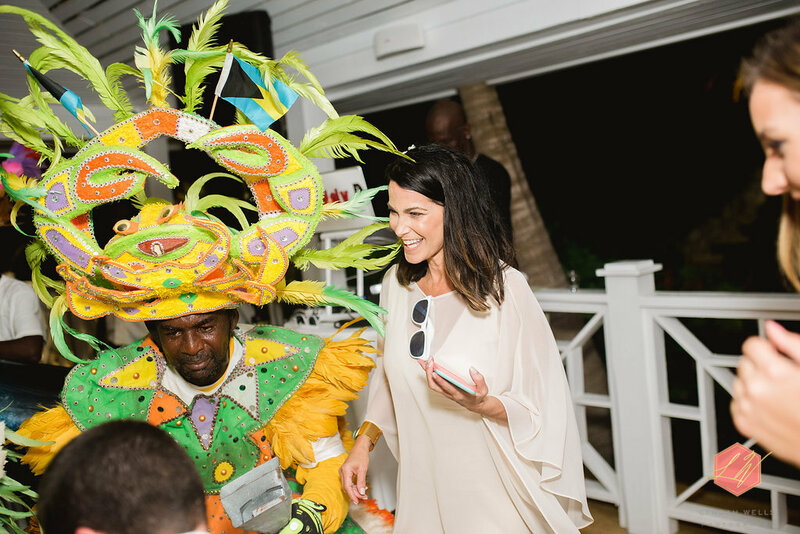 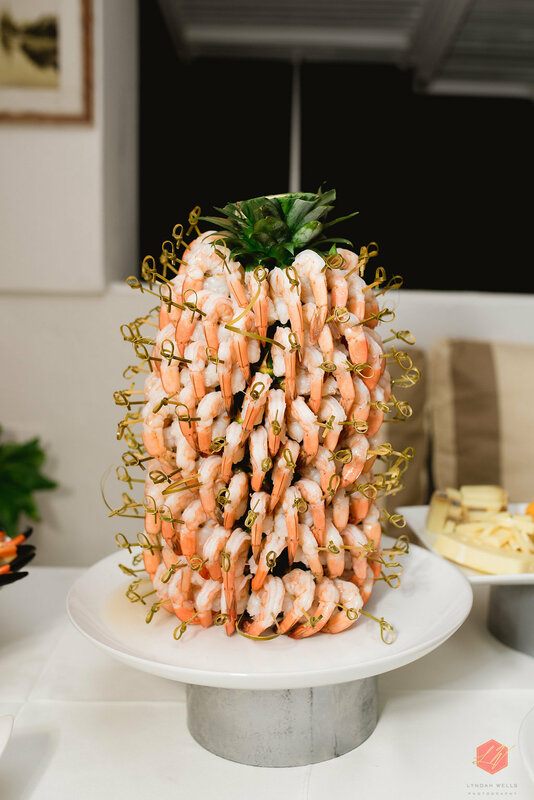 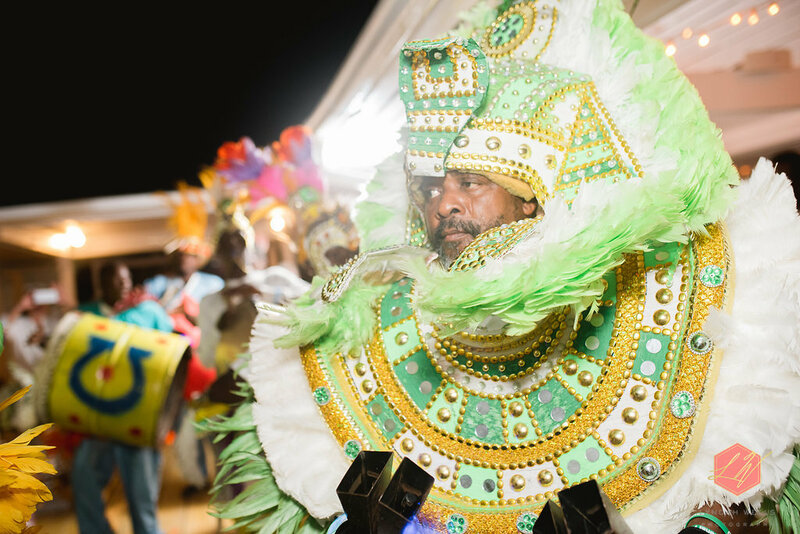 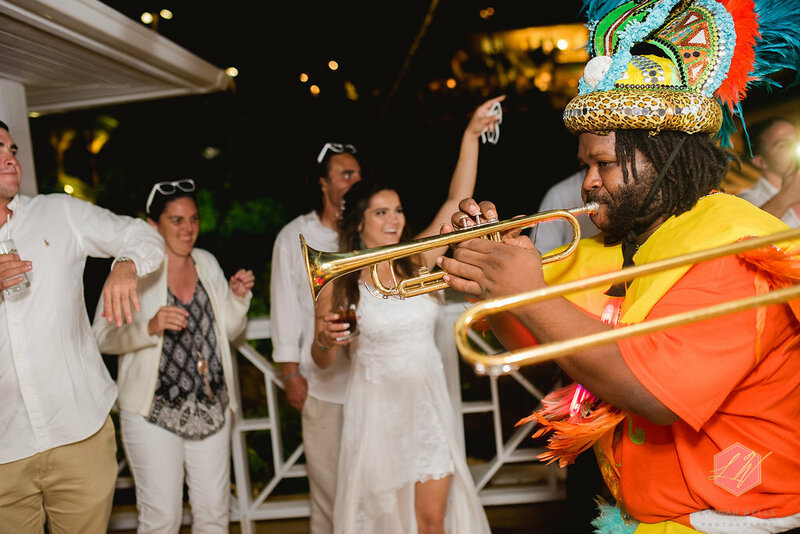 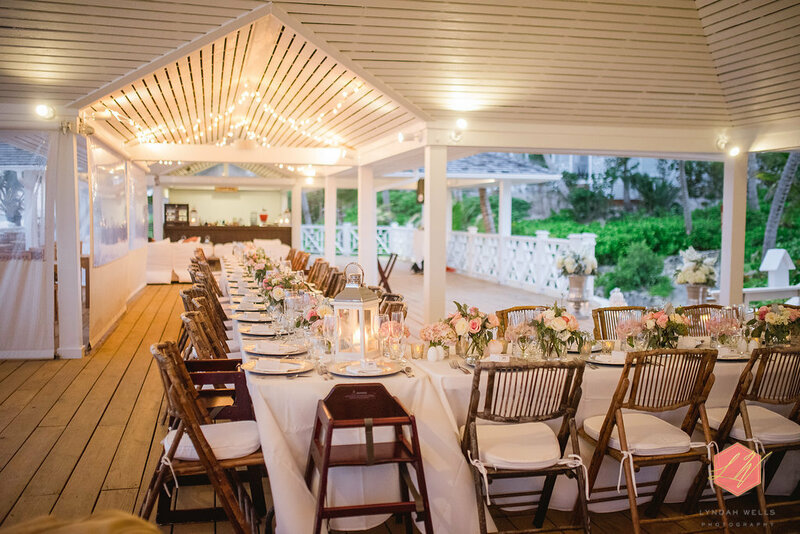 From the getting ready shots to the full on Junkanoo celebration for the reception, this destination wedding has it all and then some! 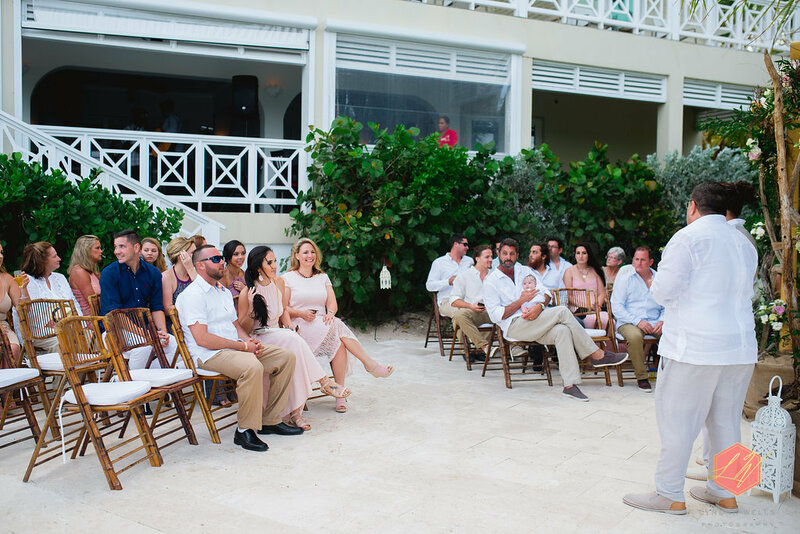 Taylor and Chris are both from Key West. 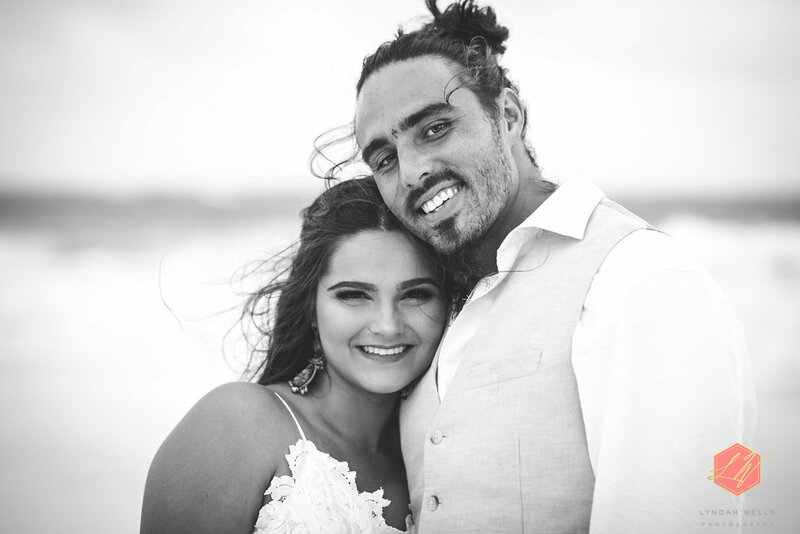 They have been dating since high school. 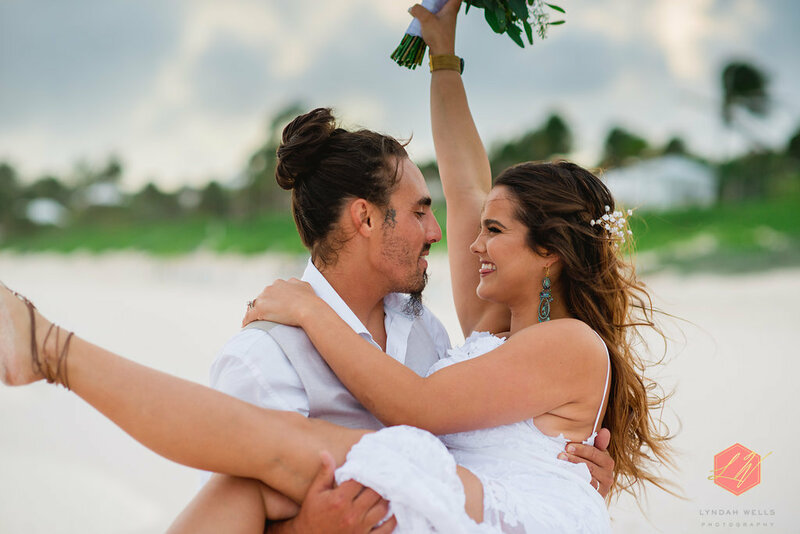 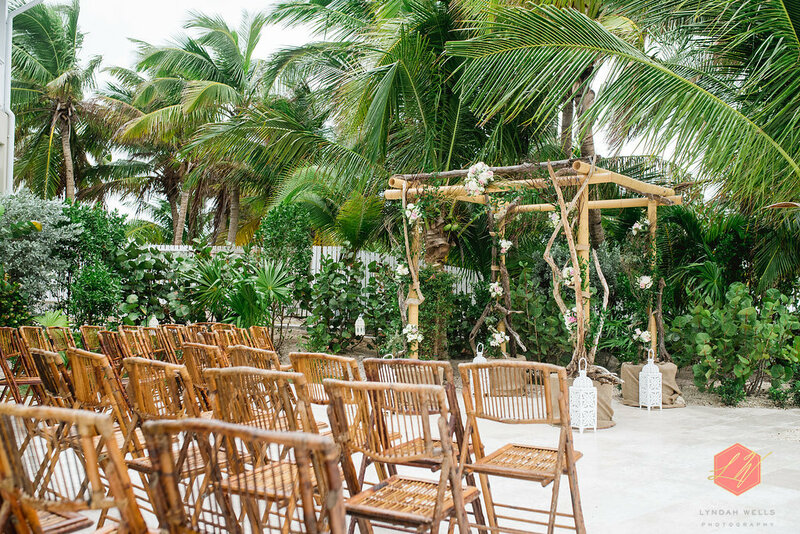 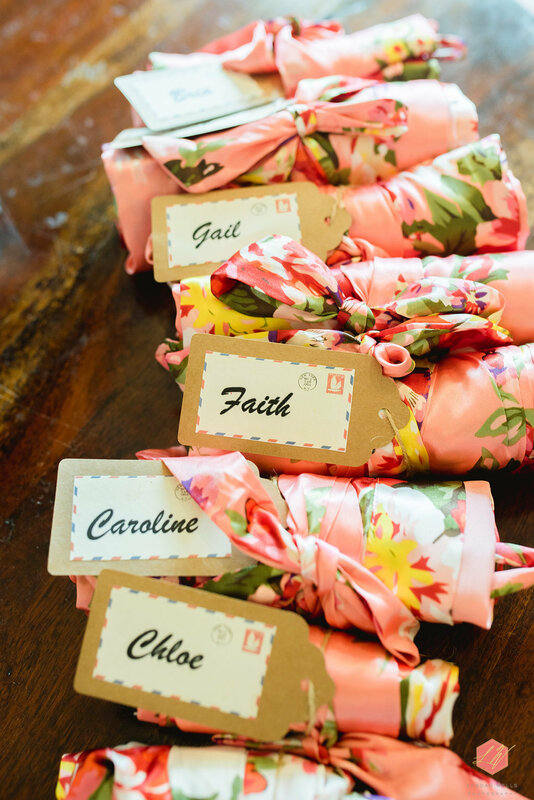 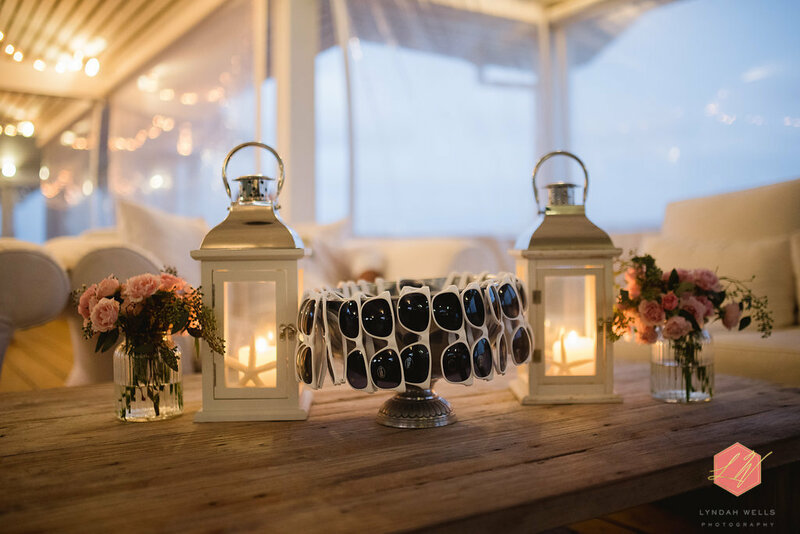 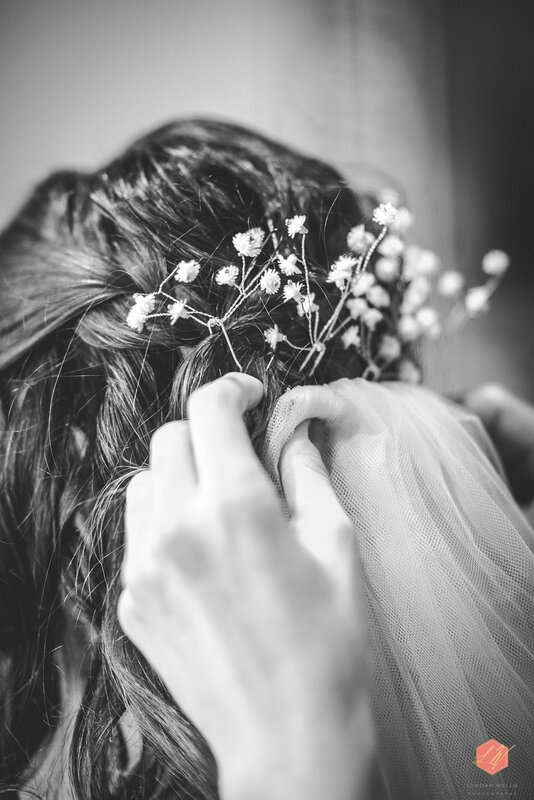 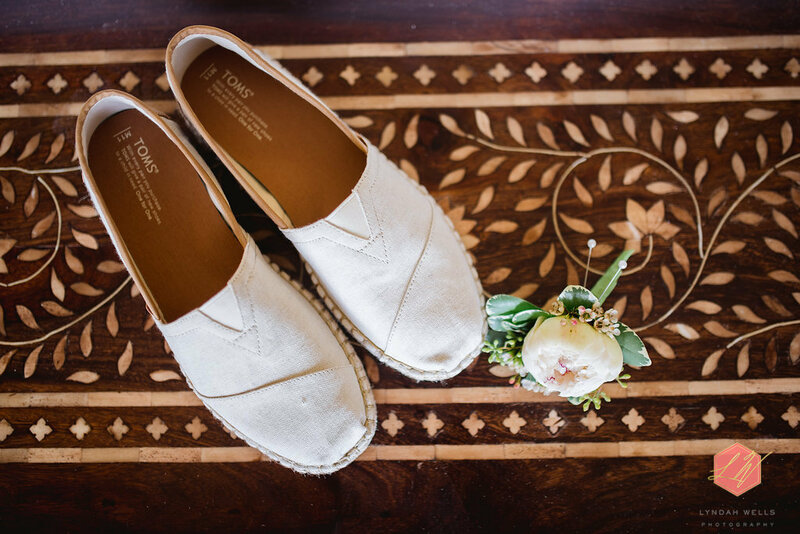 Taylor had the idea of a romantic Boho Beach Wedding Style, and that’s exactly what she got! 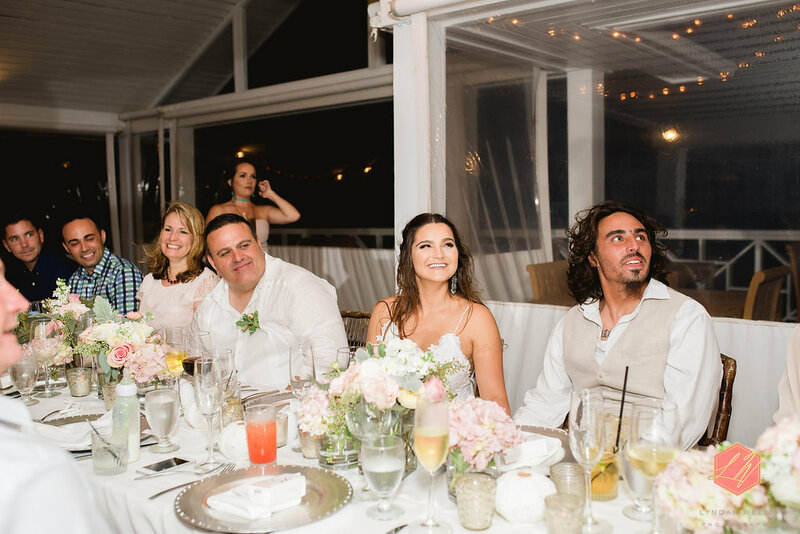 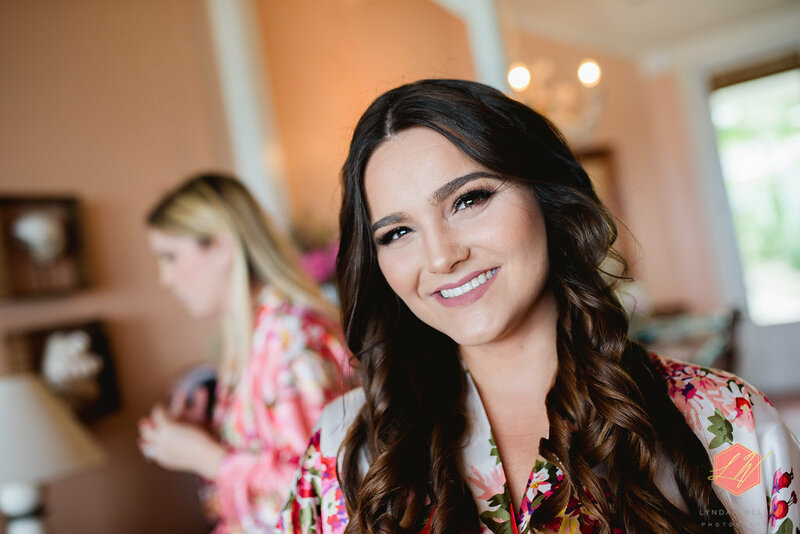 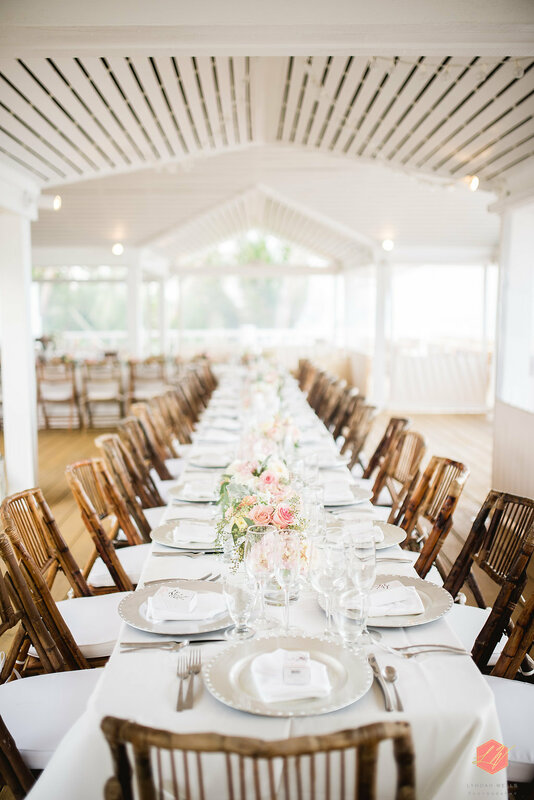 Their parents used to spend winter breaks at Harbor Island for many years, so it was just fitting that they would host their destination wedding at this amazing spot. 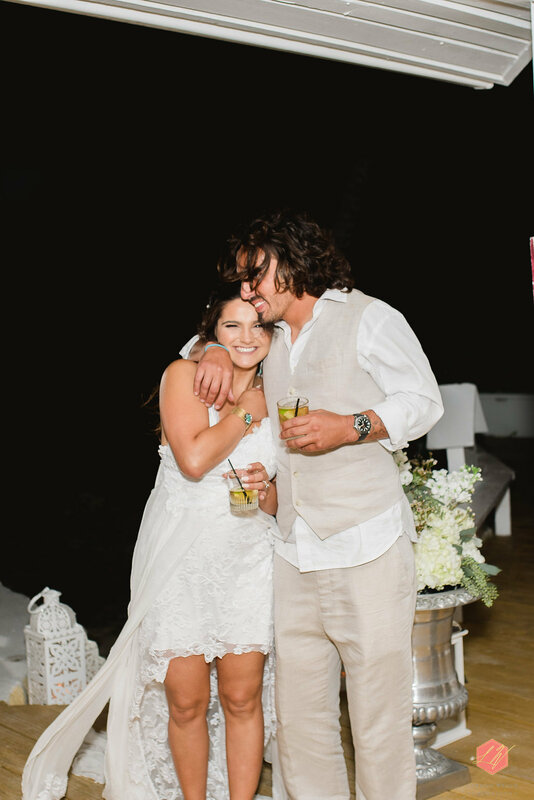 Taylor’s amazing dress was purchased from an Australian store named Grace Loves Lace. 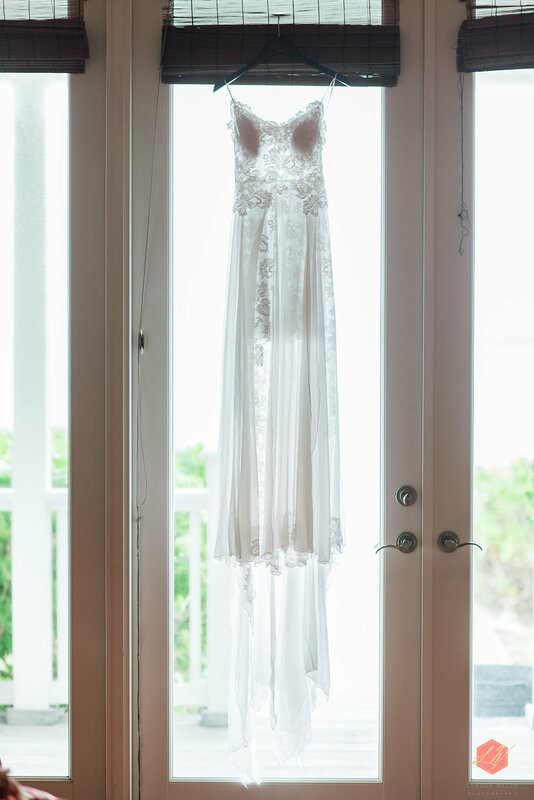 The dress carried a light and airy whimsical feel to it. 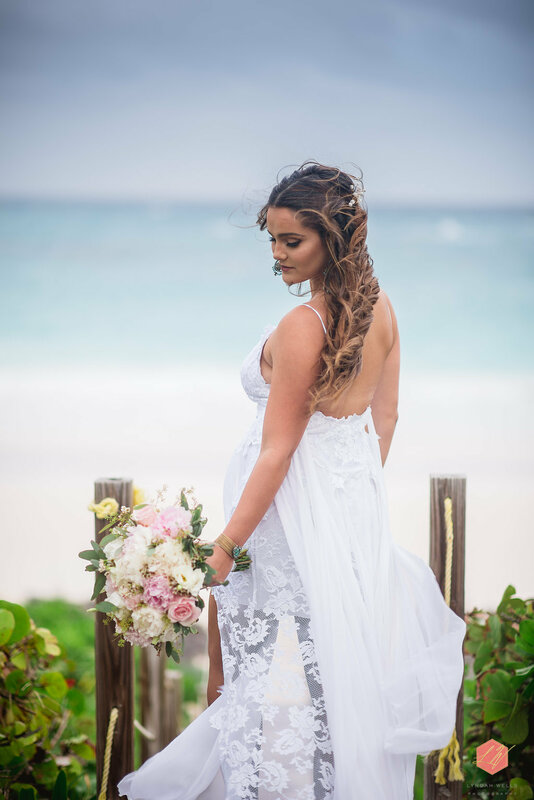 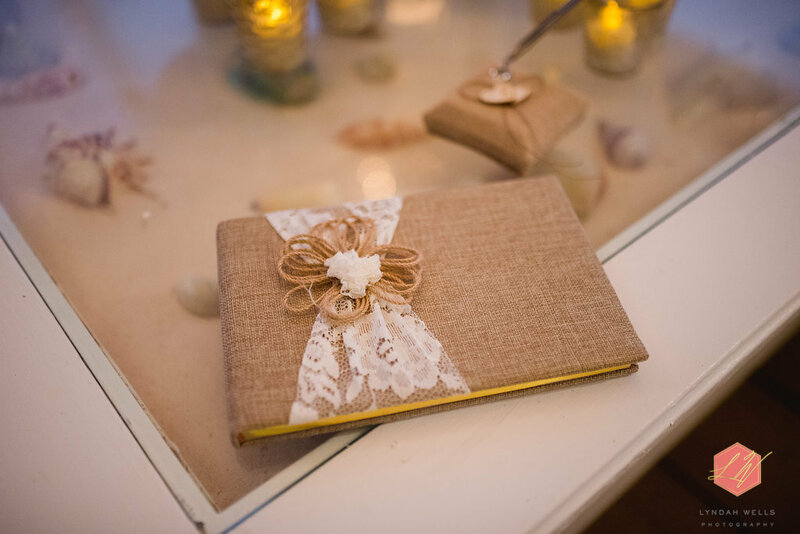 It was covered in lace, stopped above the knee and had a long beautiful train, perfect for an island wedding. 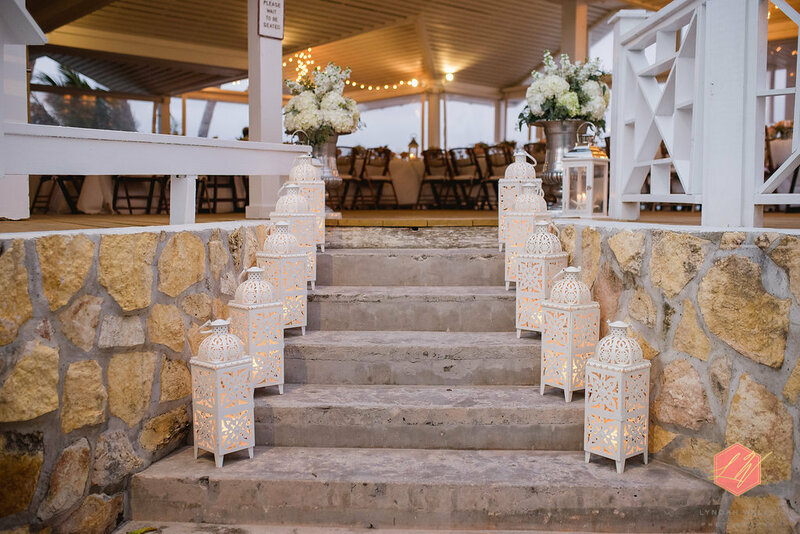 The overall look of the décor was very soft and light. 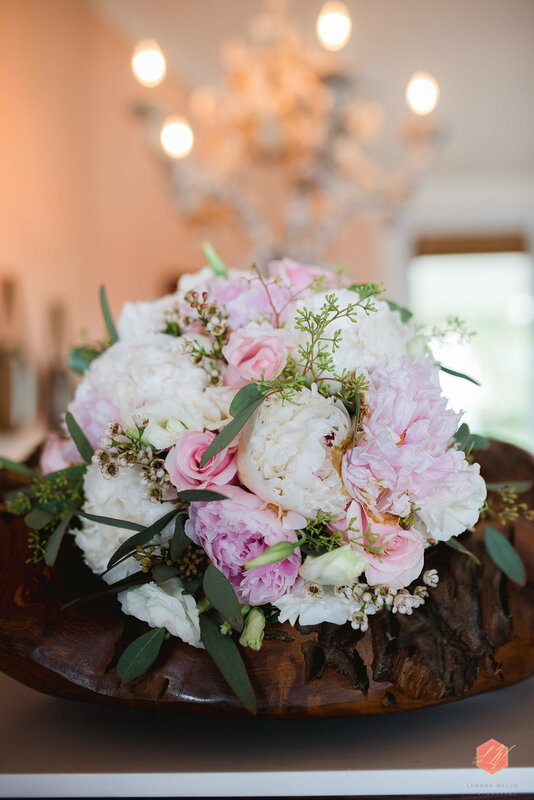 Pink & white peonies along with roses decorated the ceremony and reception areas. 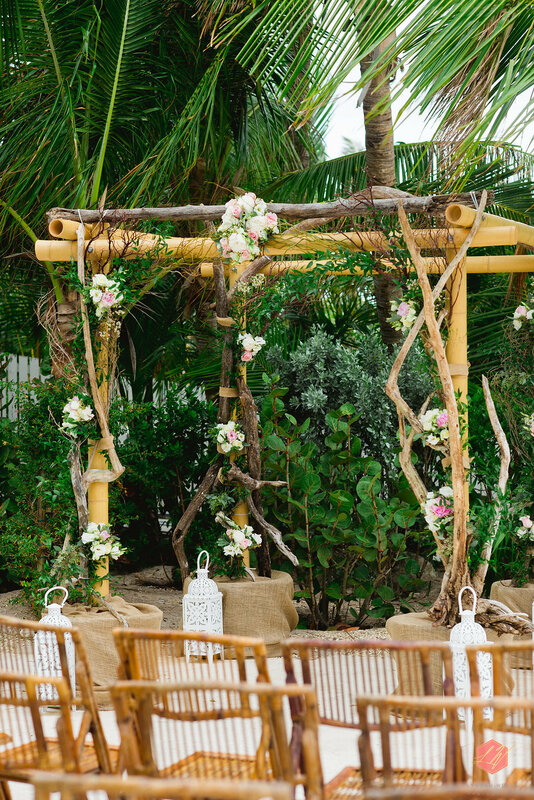 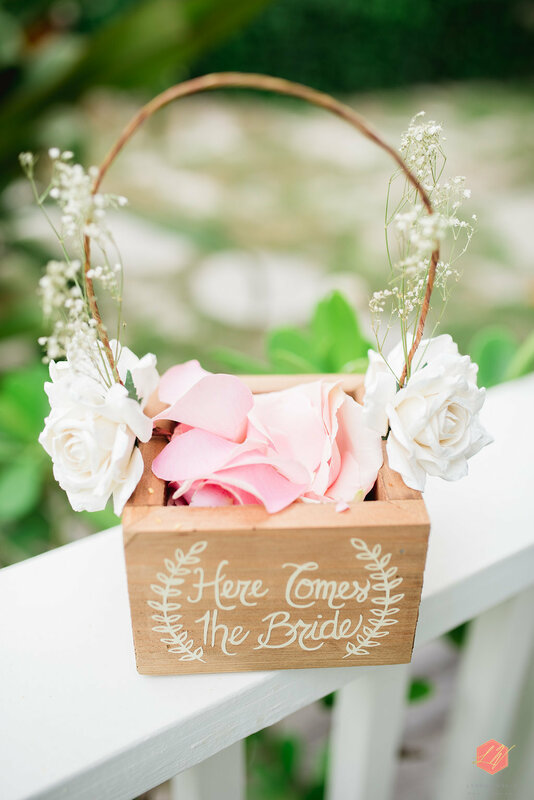 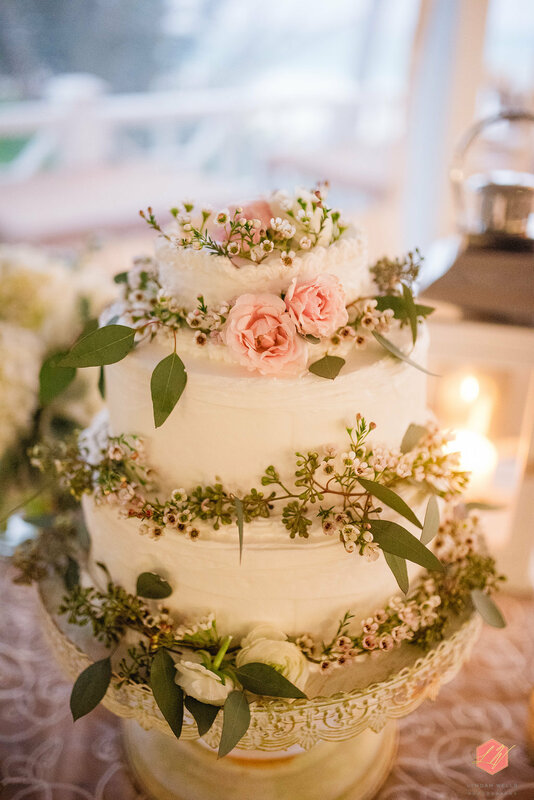 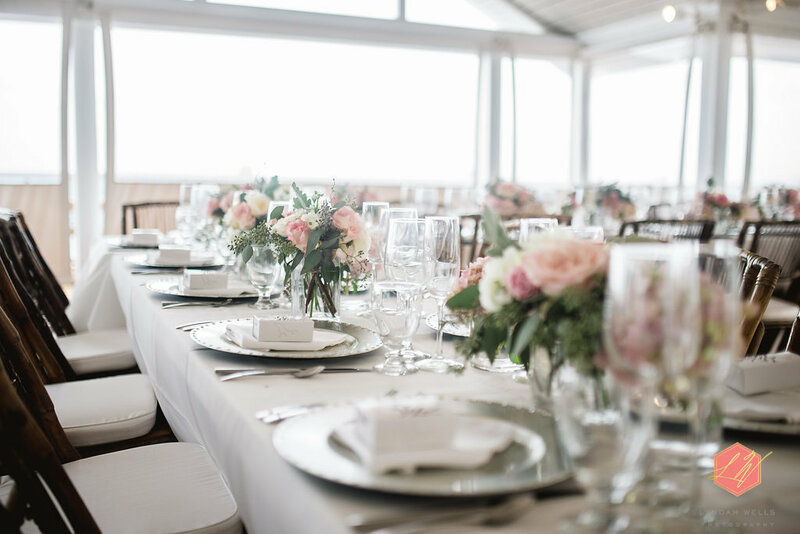 The bride kept things really simple when it came to her décor, but this helped to pull together the whimsical boho theme that she had always envisioned. 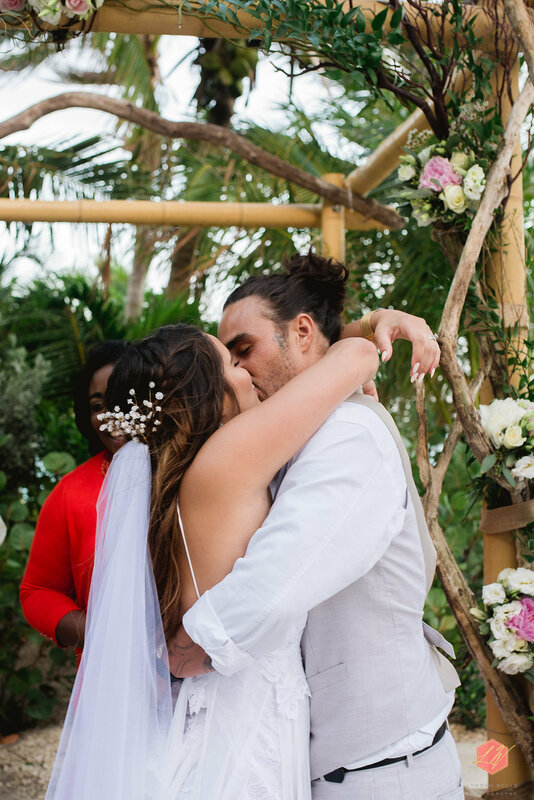 Since the couple were in the beautiful Bahamas, they decided to have a Junkanno Rush out, and it was such a fantastic decision. 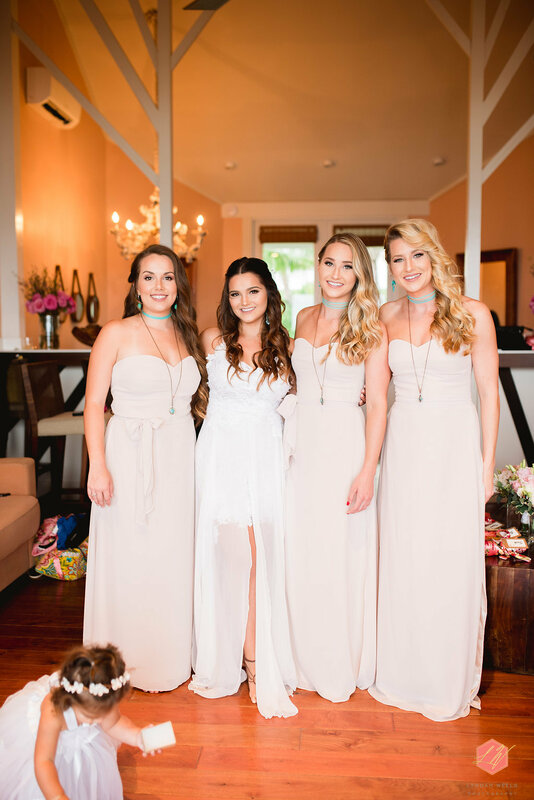 They truly had a blast! 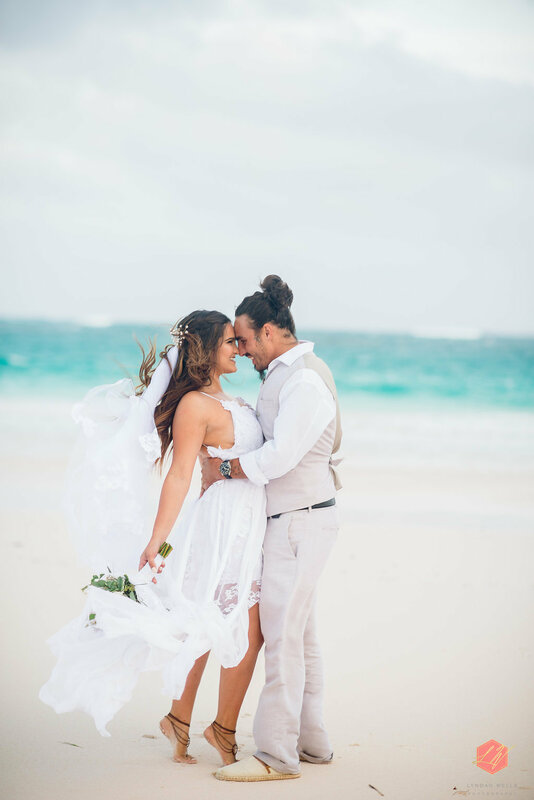 I travel throughout the Bahamas to capture each couple’s unique love story. 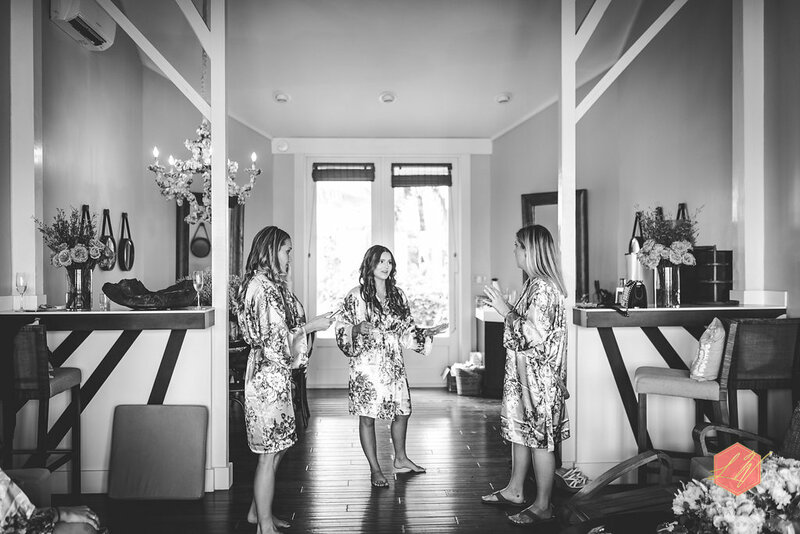 We offer 4 hours to full day wedding photography coverage. 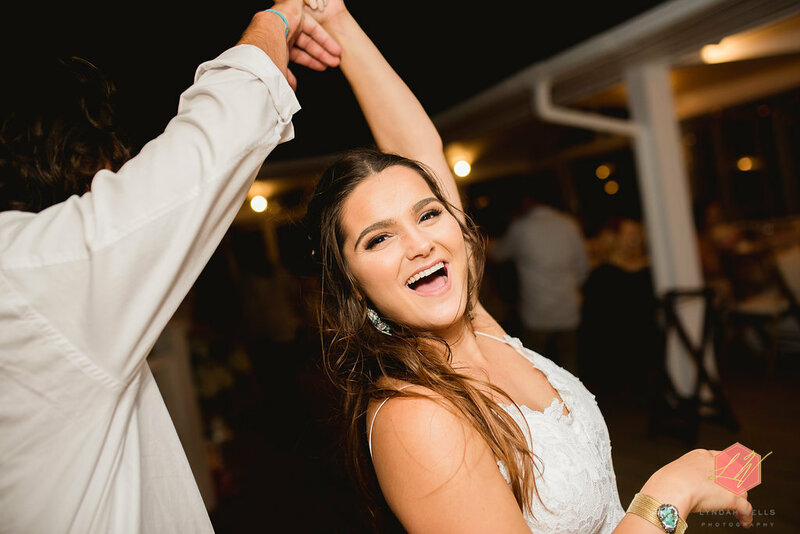 We also offer Welcome party photography coverage. 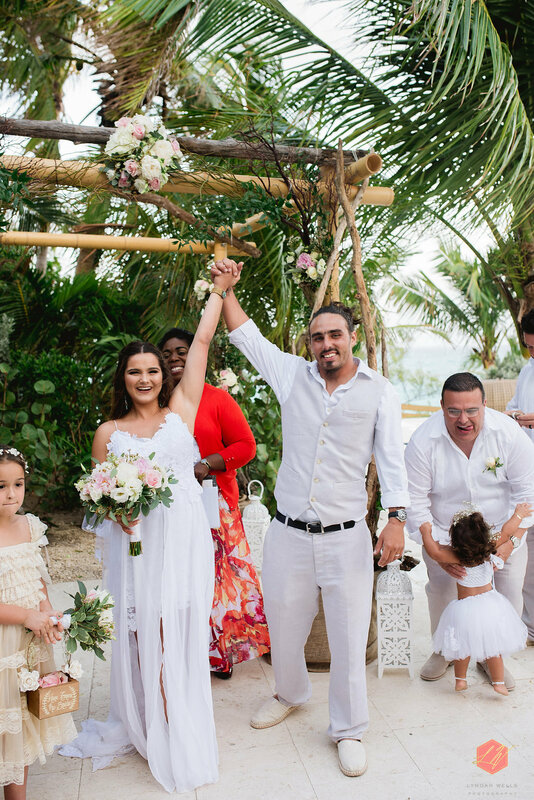 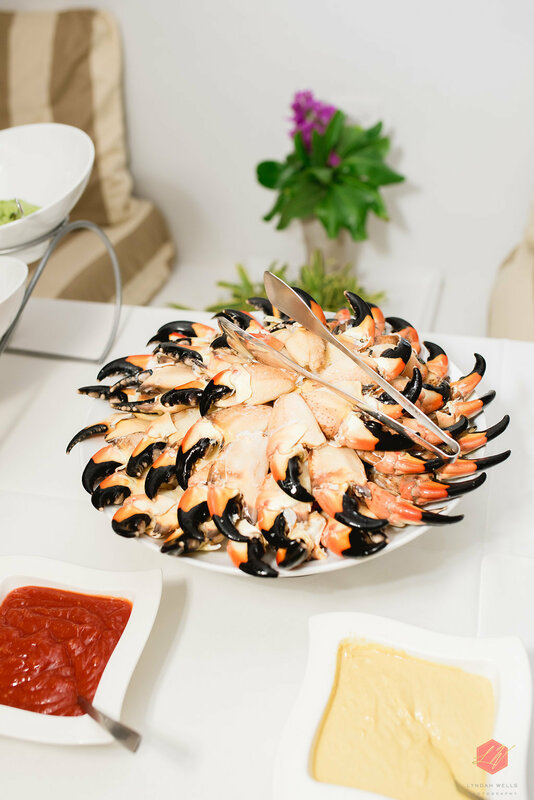 Couples can contact us at: hello@lyndahwells.com or (954) 278 – 5319. 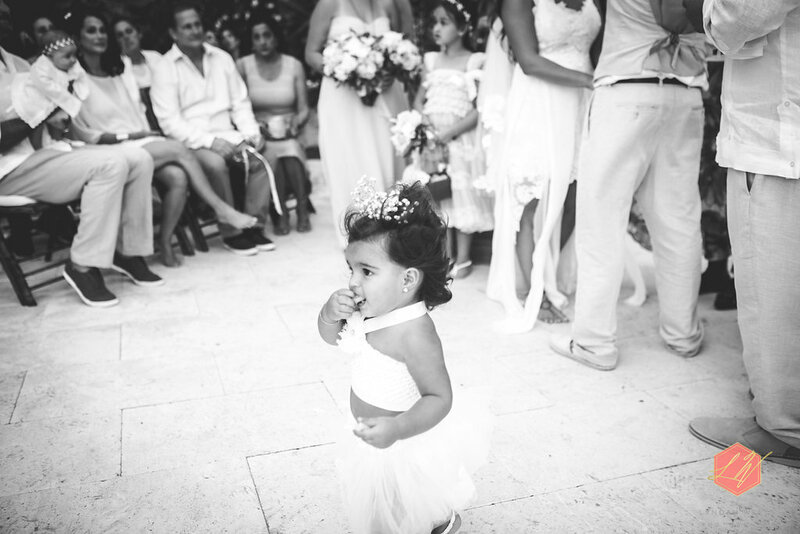 My favorite thing about this lovely wedding was that the couple’s almost 1 year daughter was walking around throughout the whole ceremony. 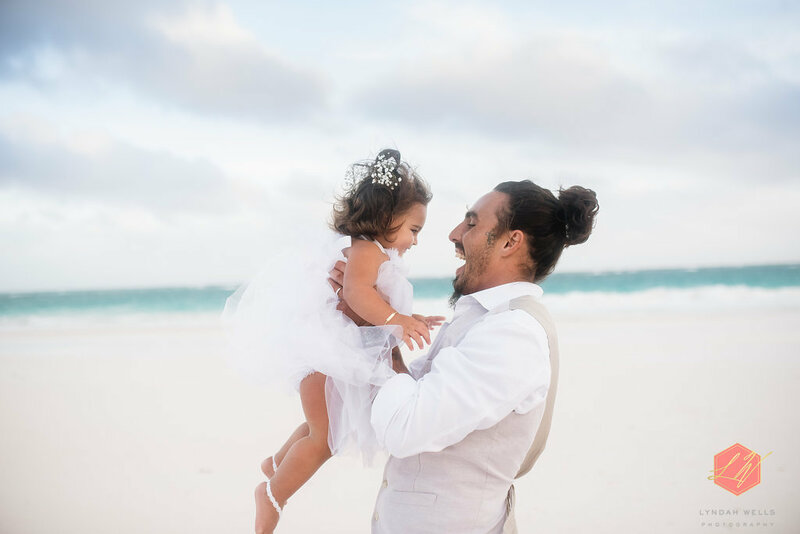 It was absolutely adorable! 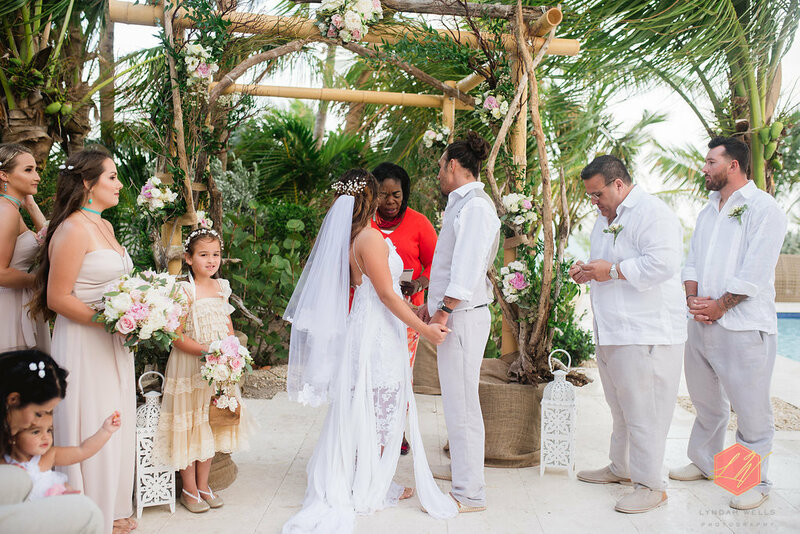 About 6 months prior to the couple’s original wedding date it was moved from June to September because Taylor was expecting! 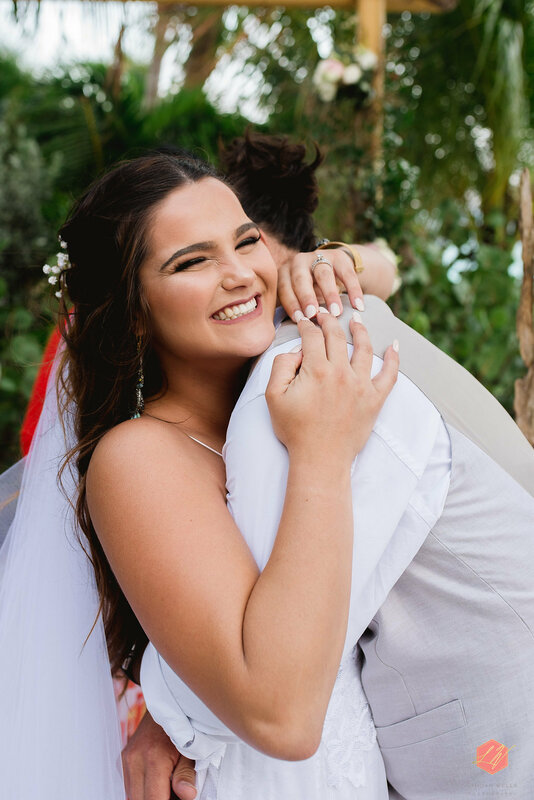 So instead of summer, they had a lovely winter wedding. 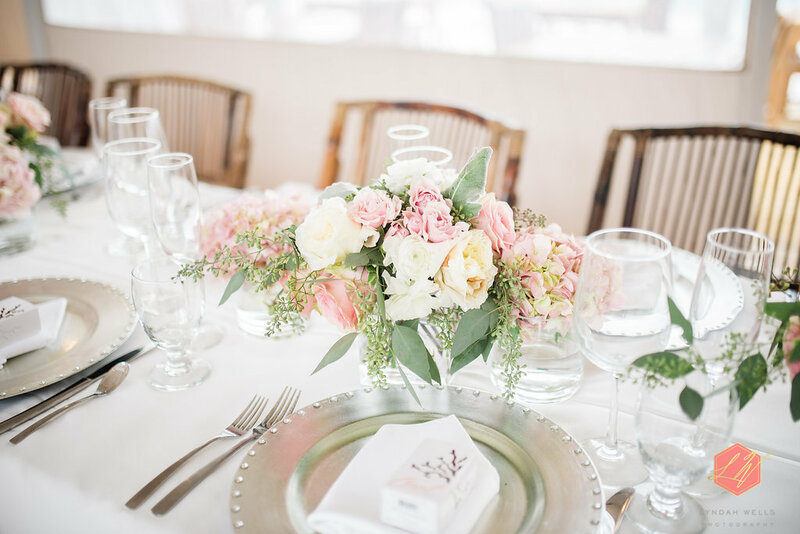 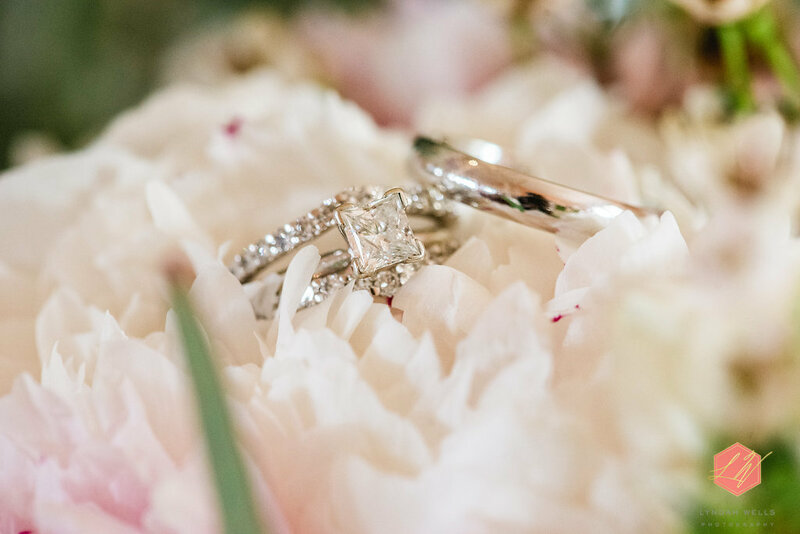 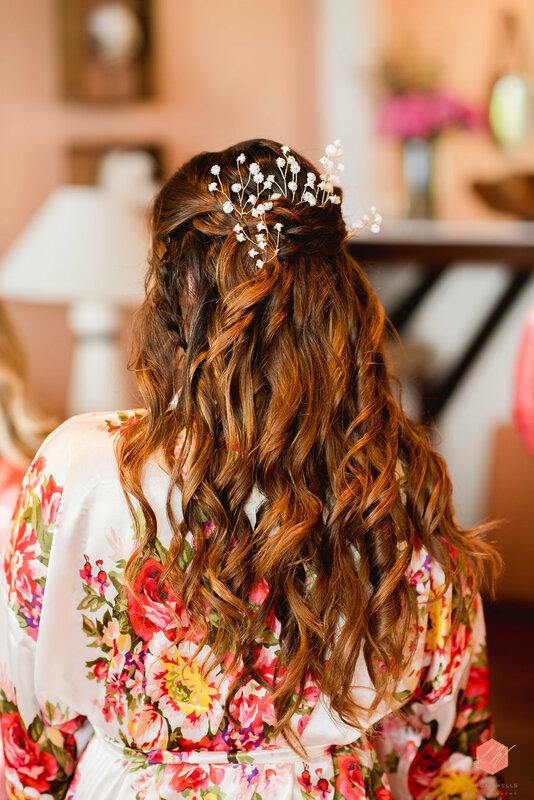 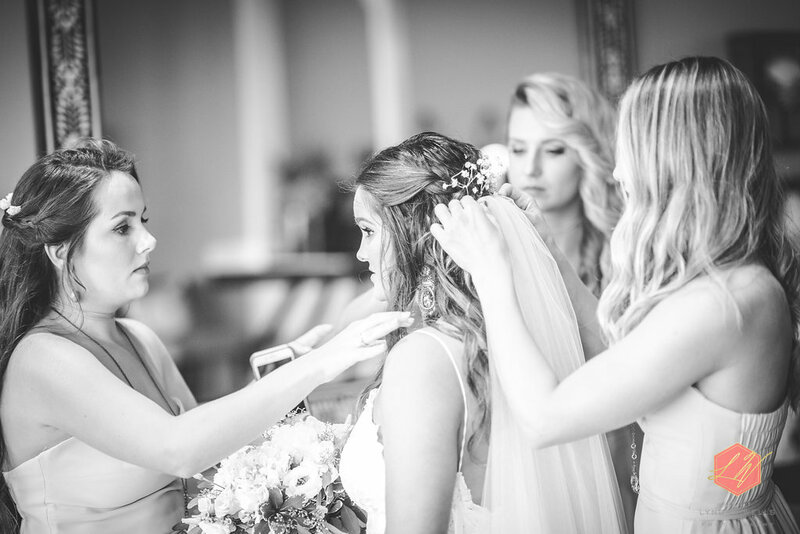 Many thanks to Taylor, Chris & Lyndah Wells Photography for sharing this drop dead gorgeous wedding with us!